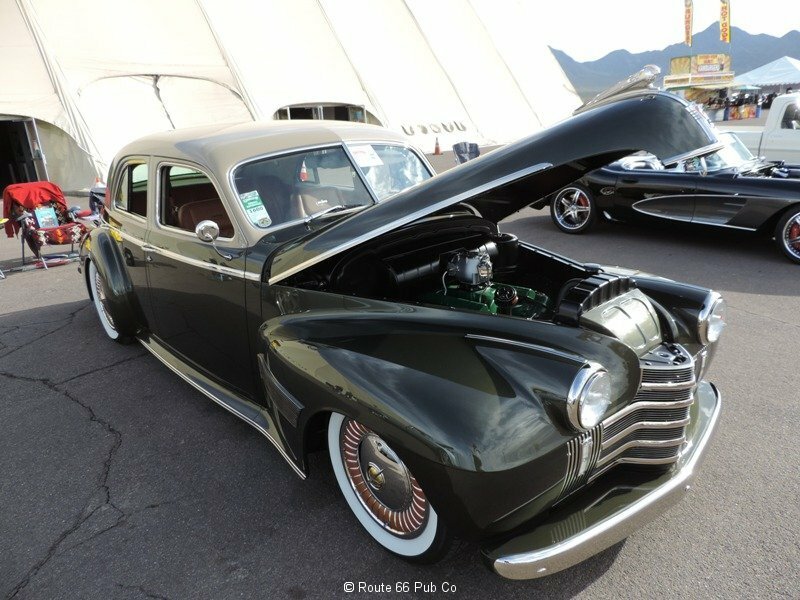 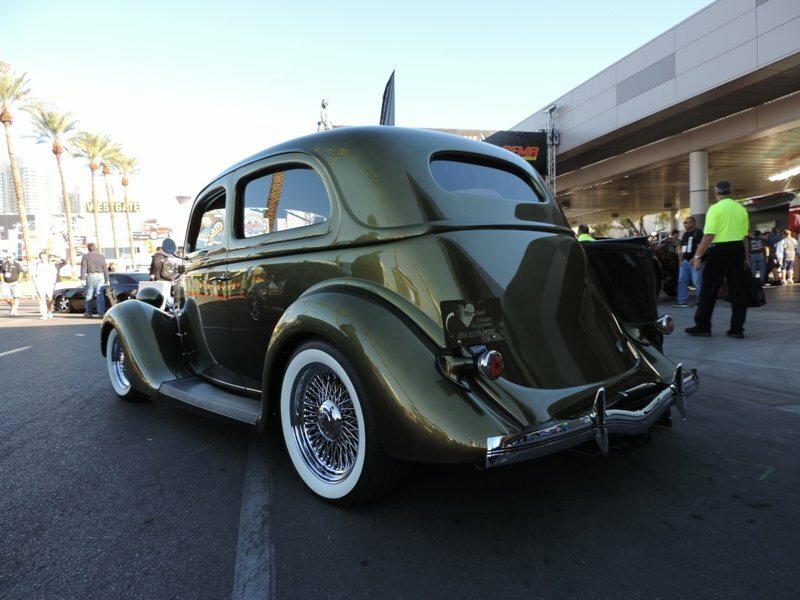 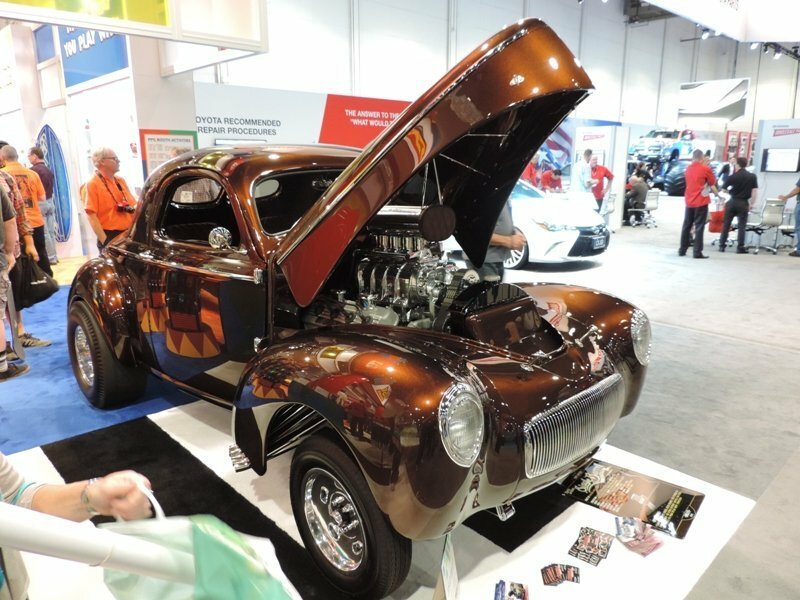 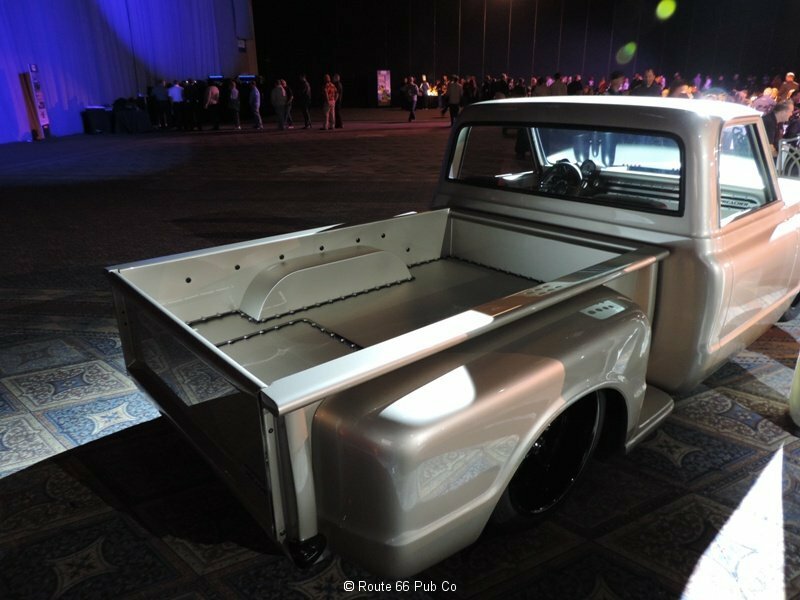 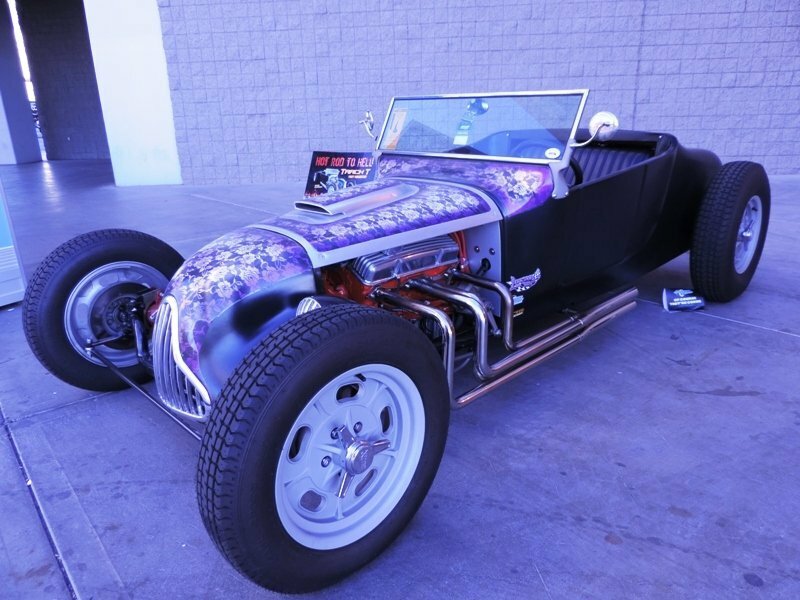 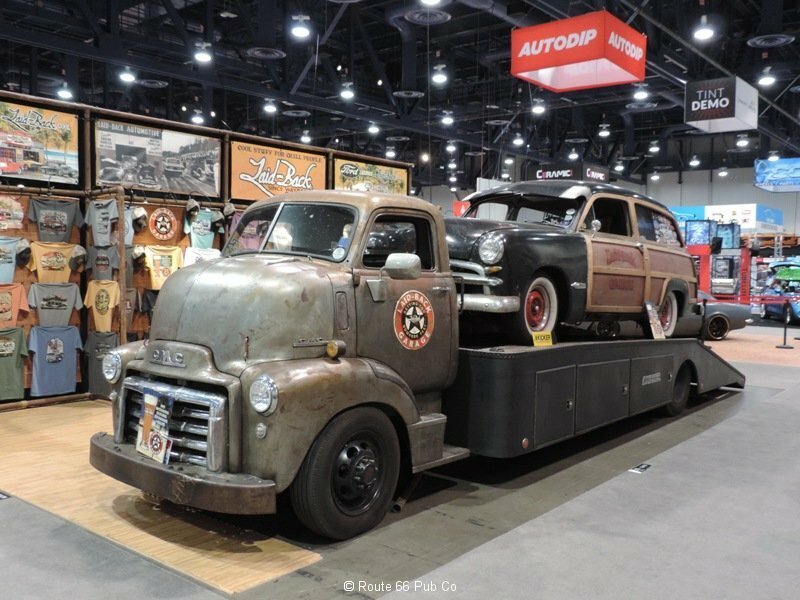 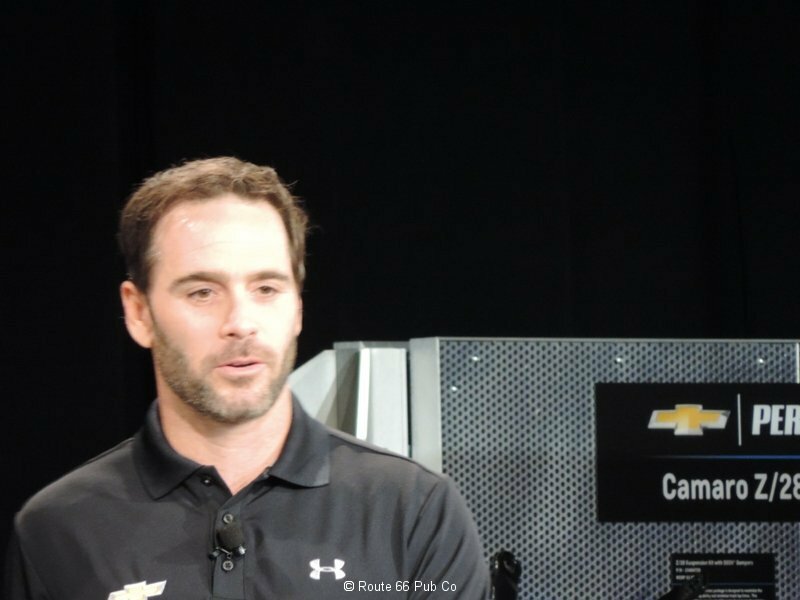 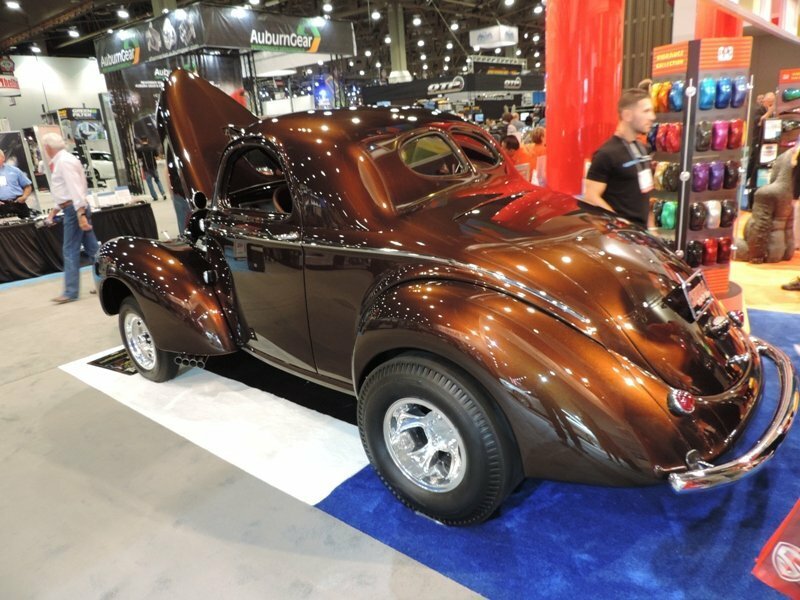 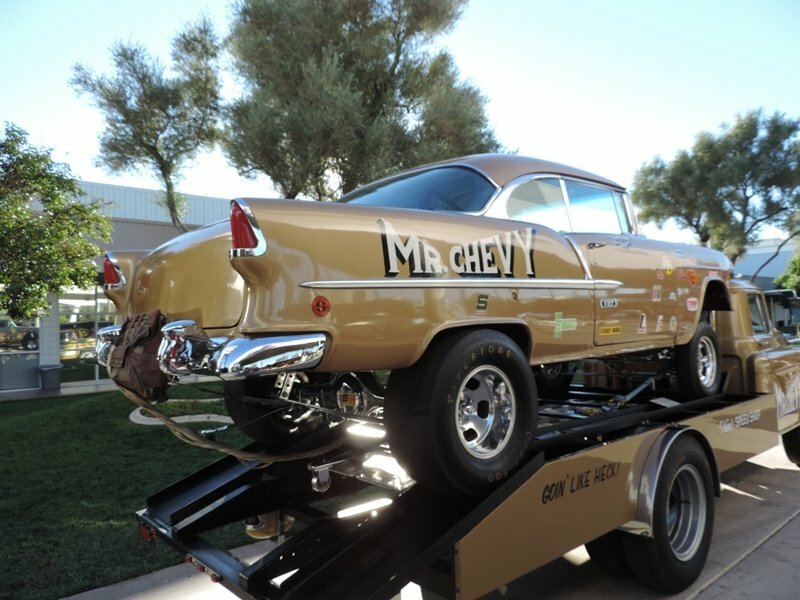 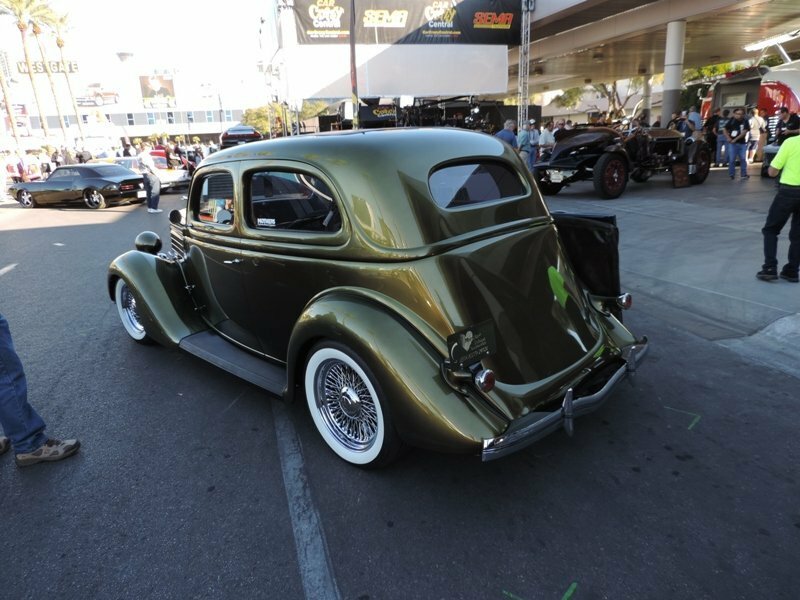 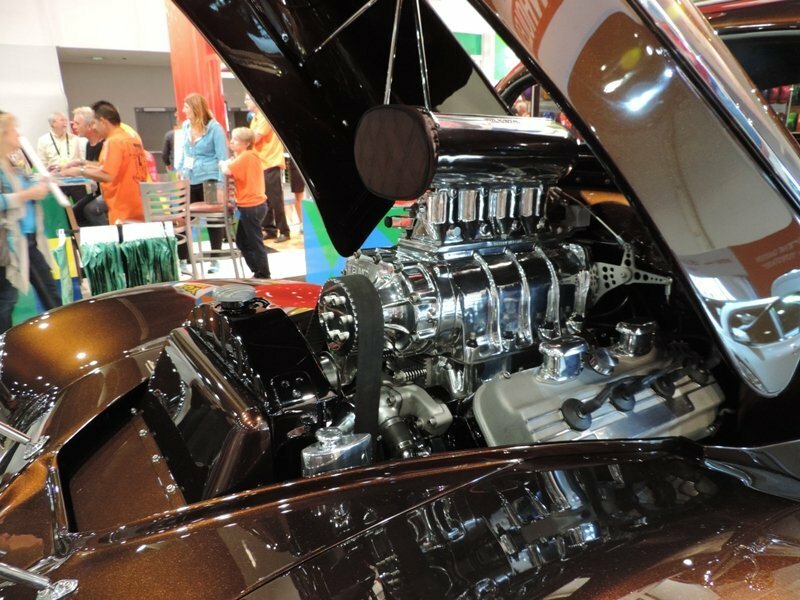 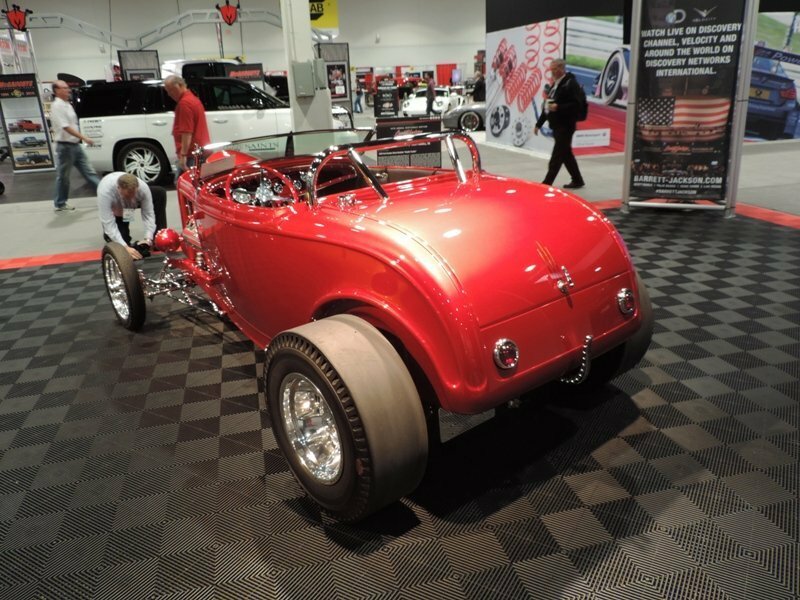 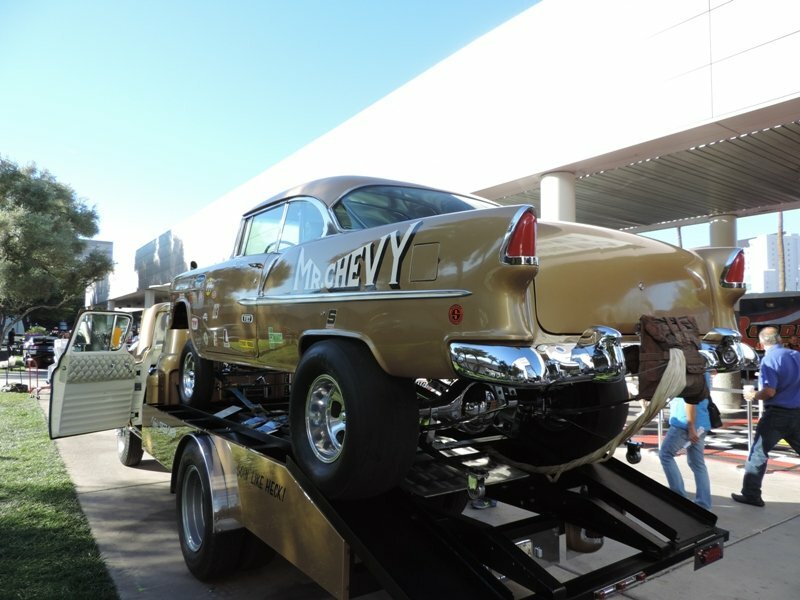 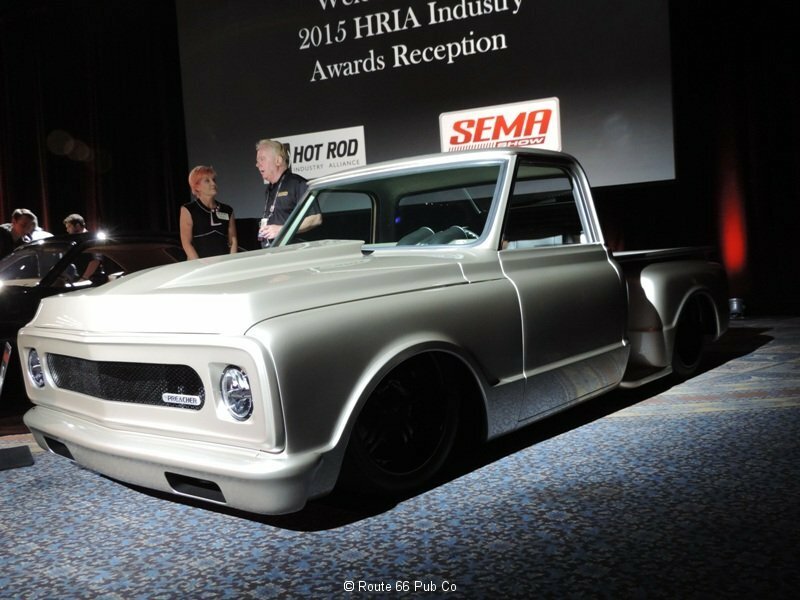 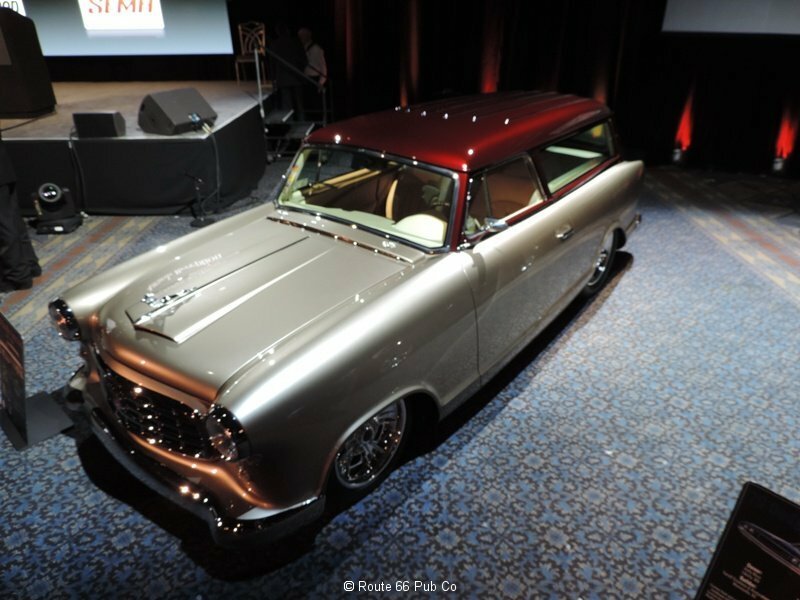 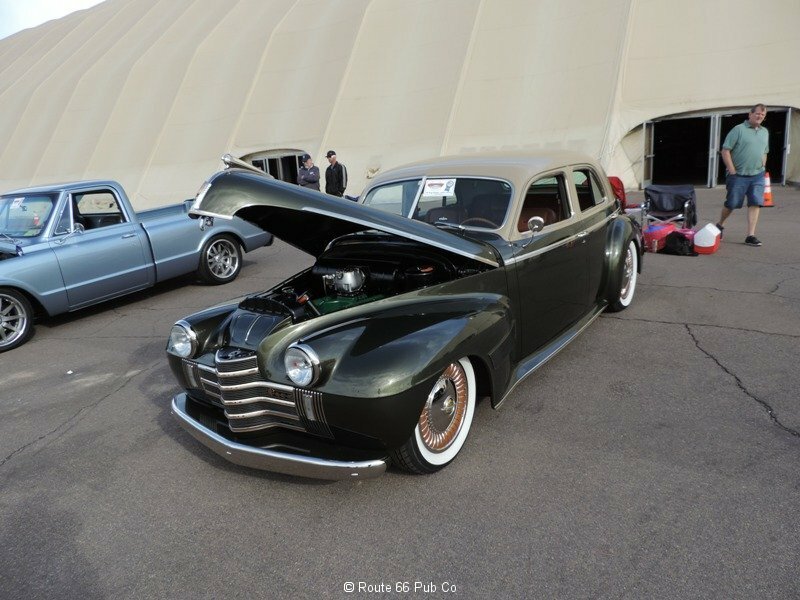 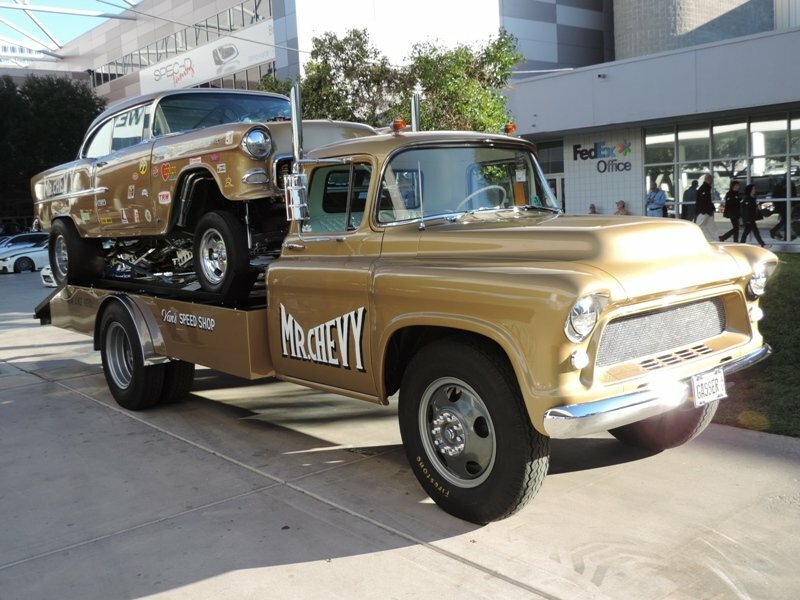 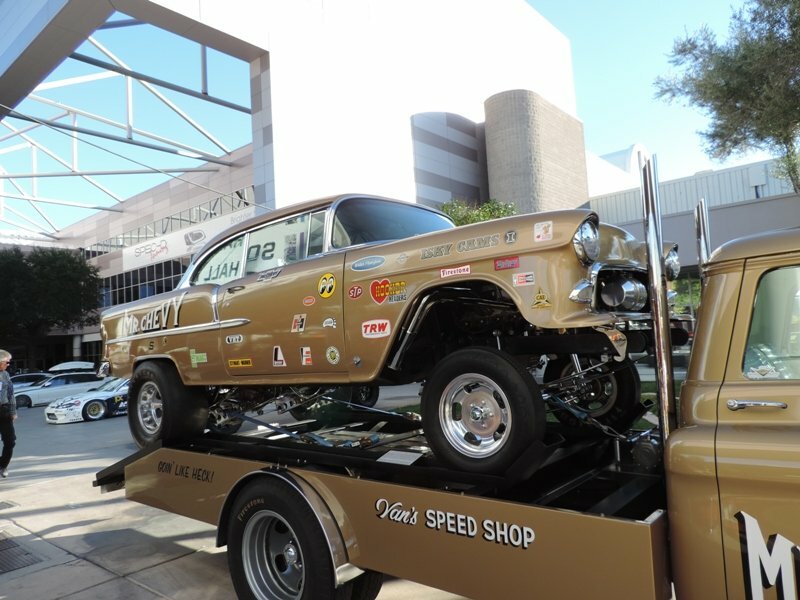 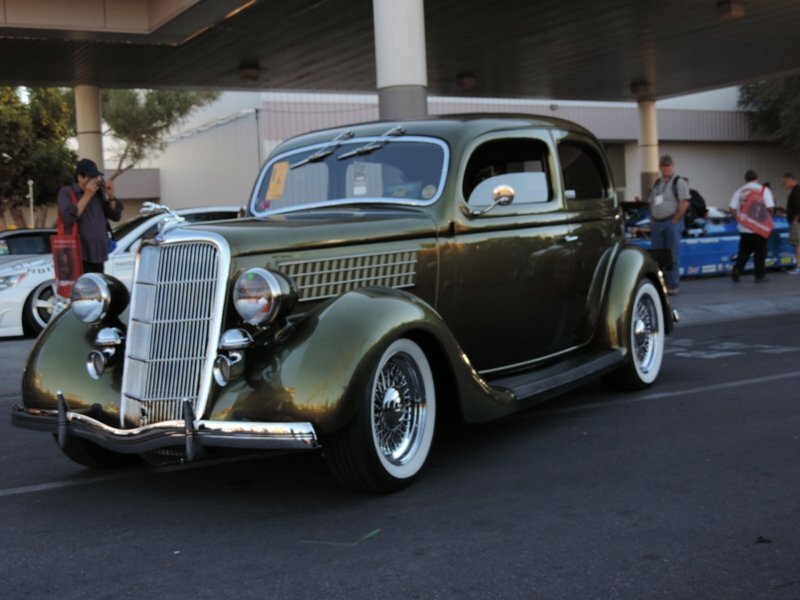 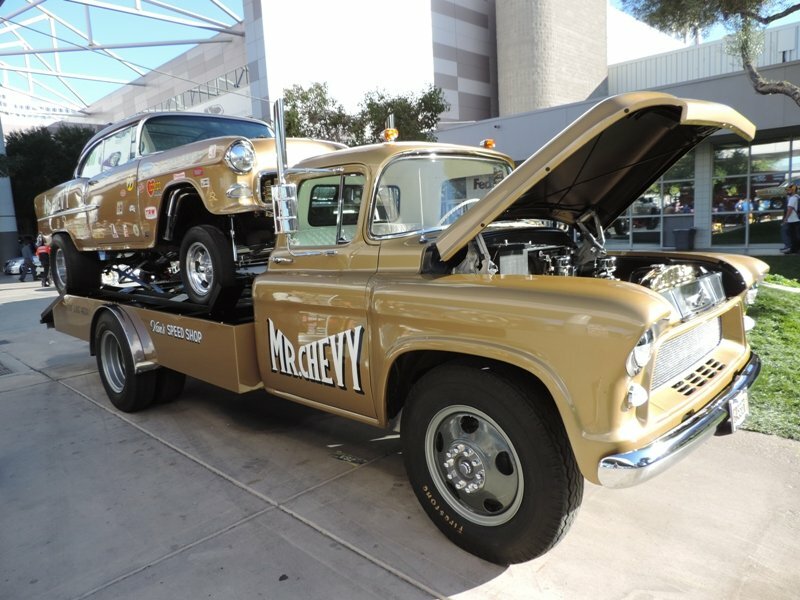 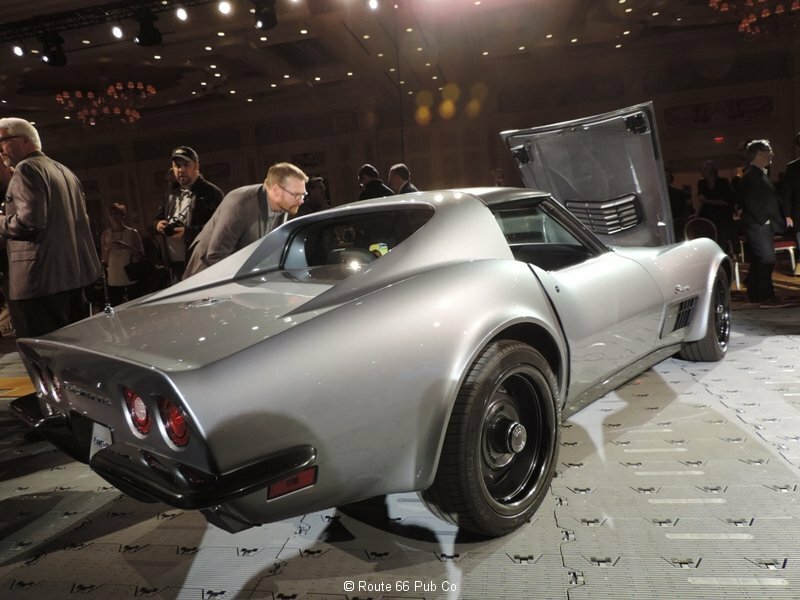 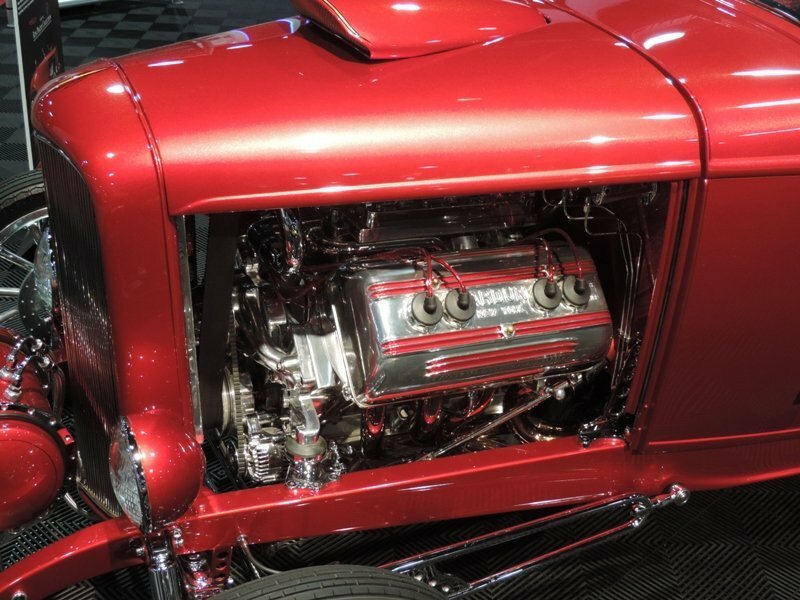 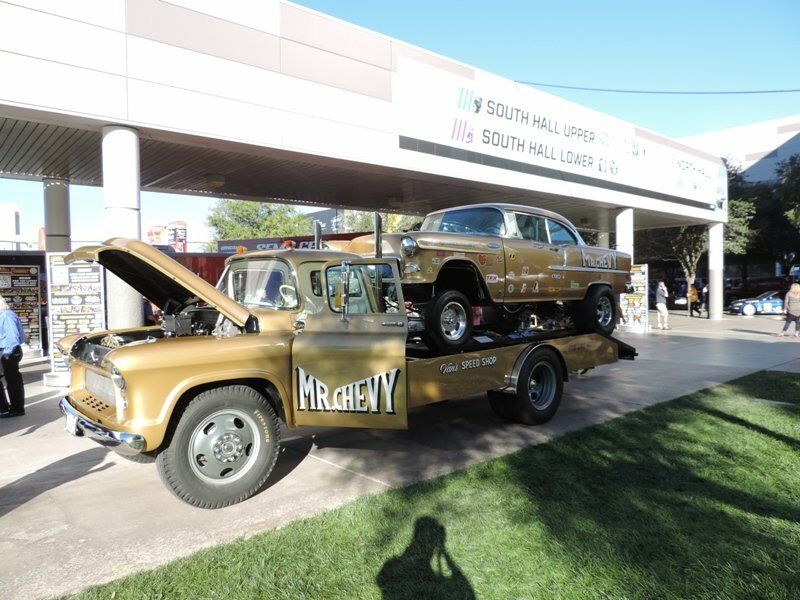 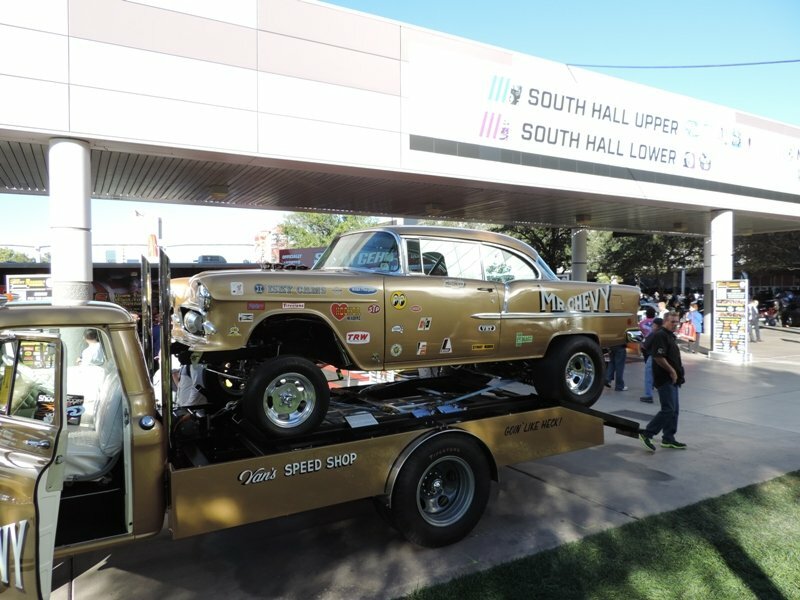 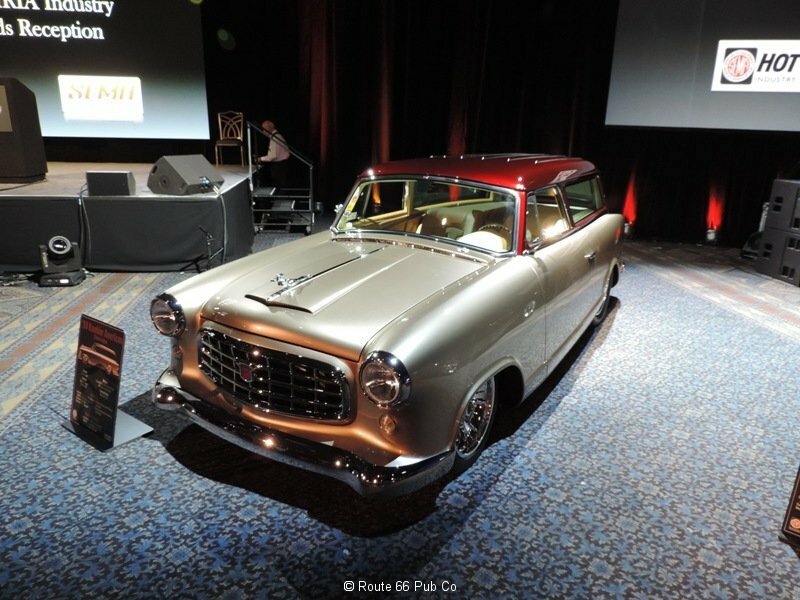 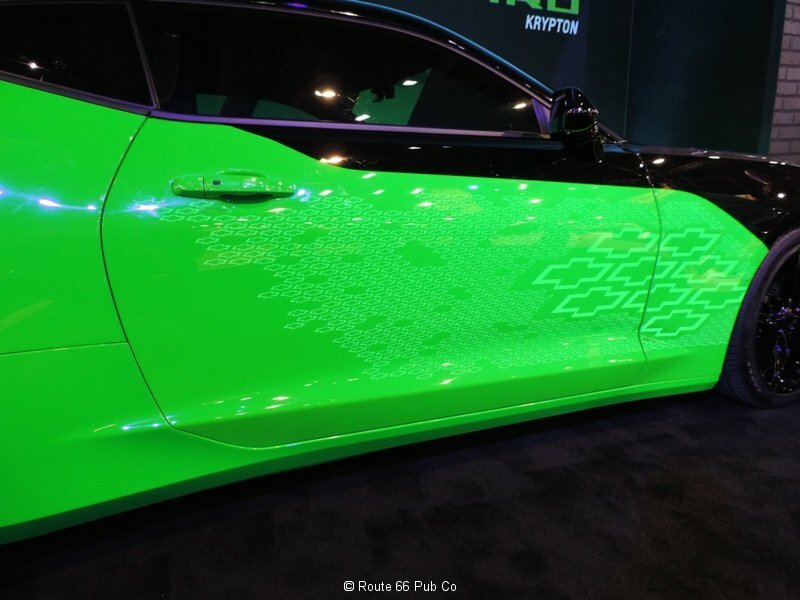 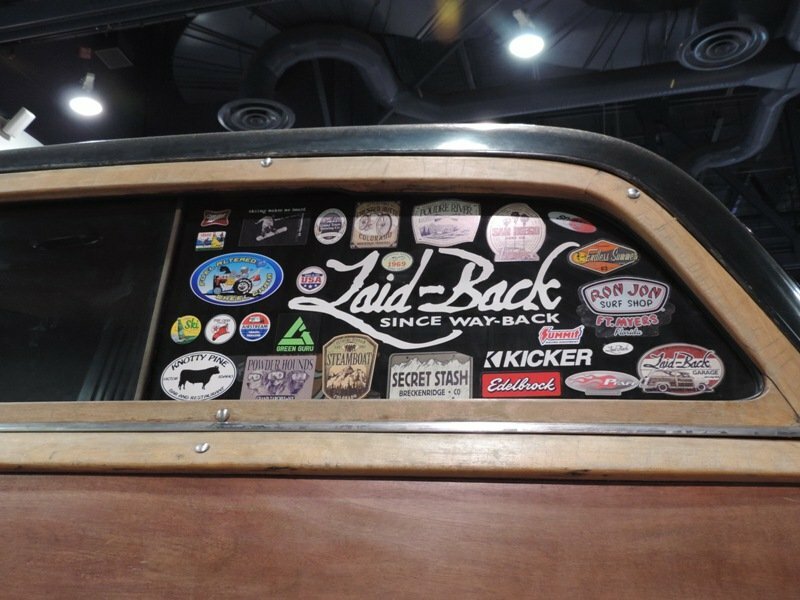 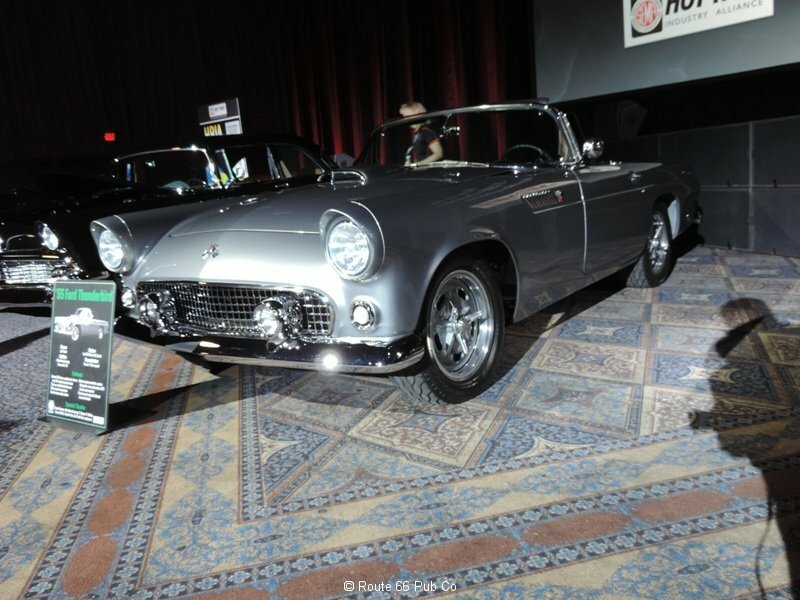 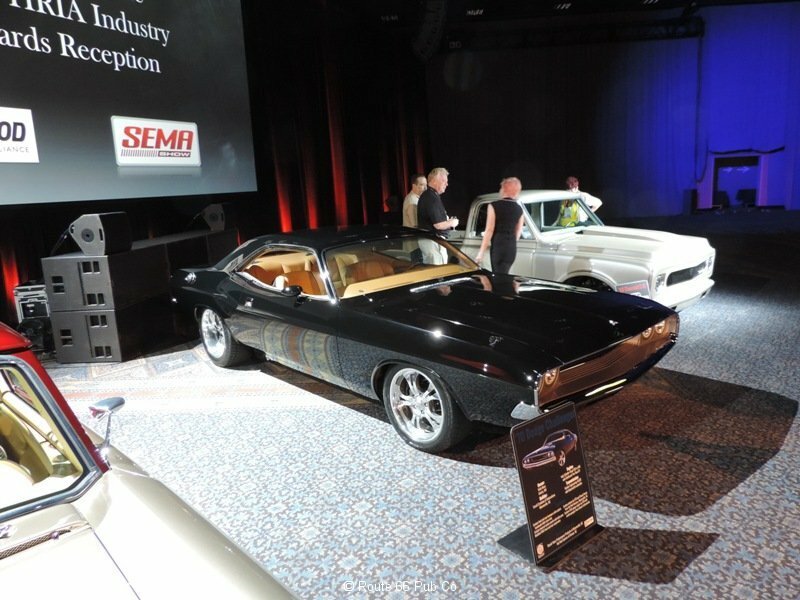 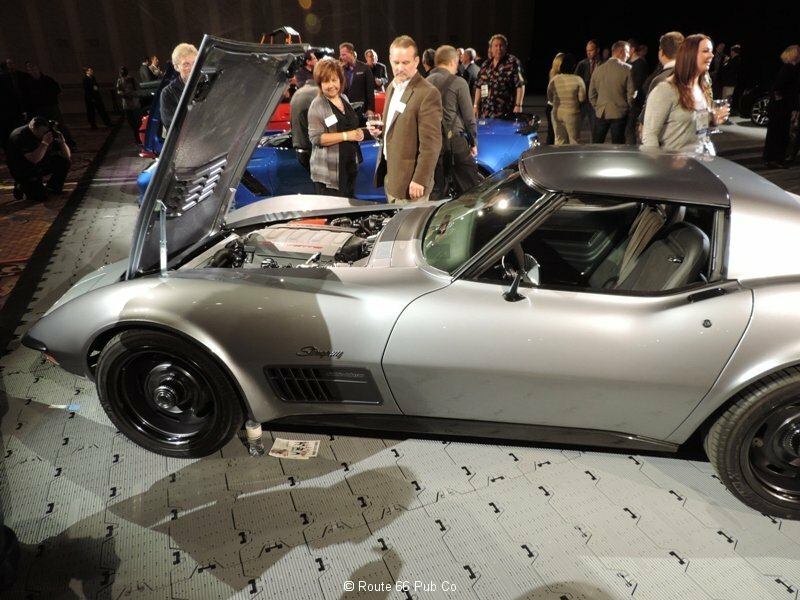 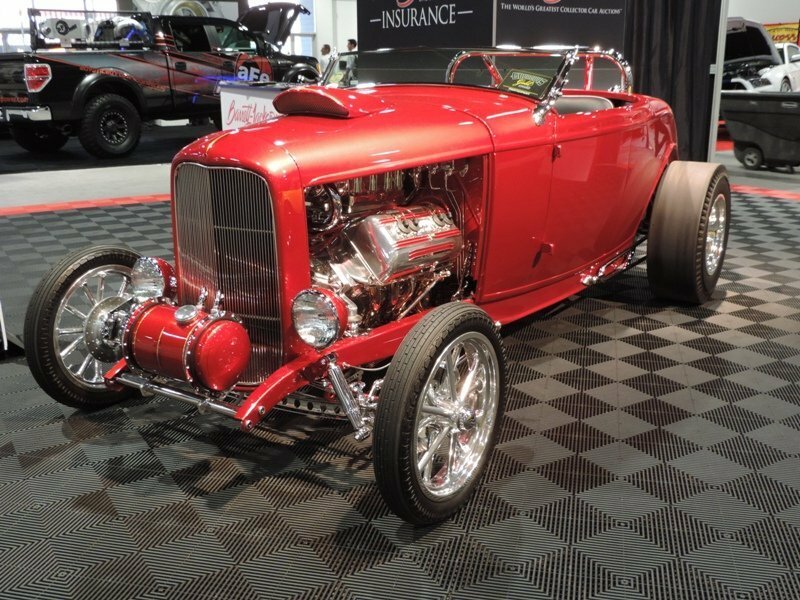 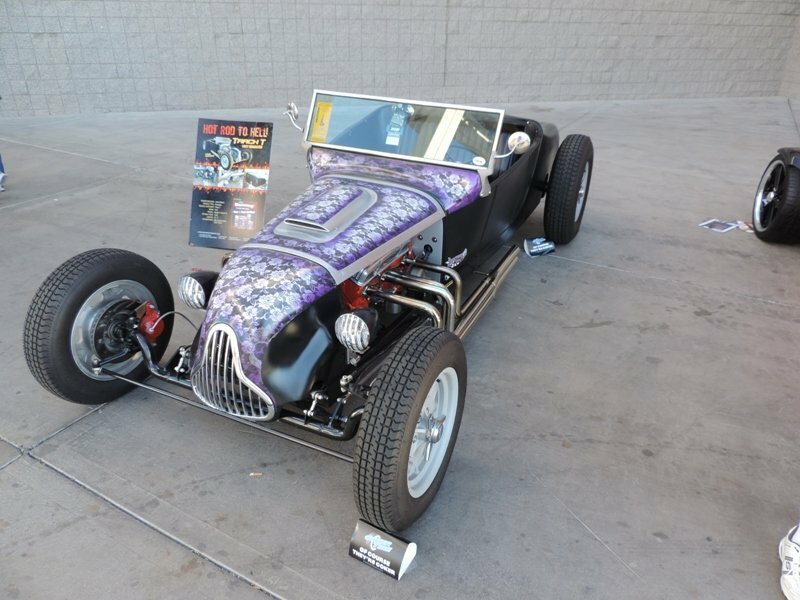 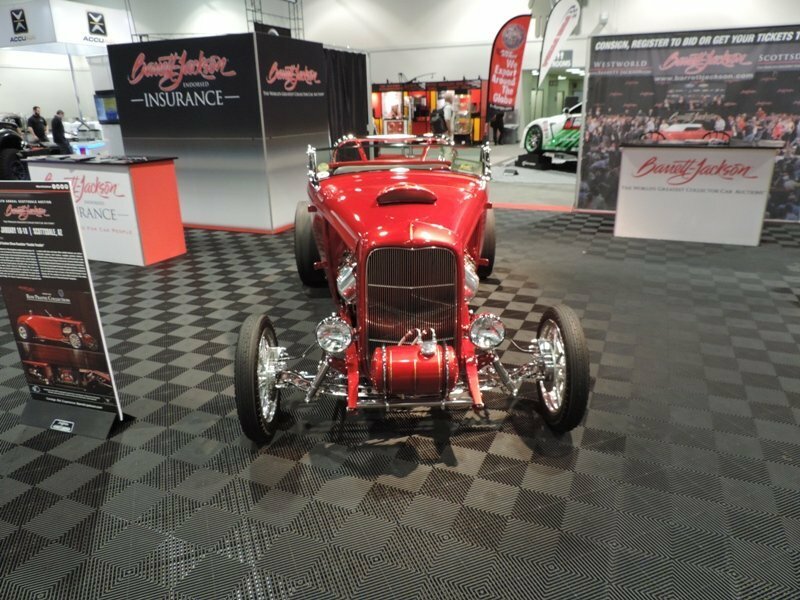 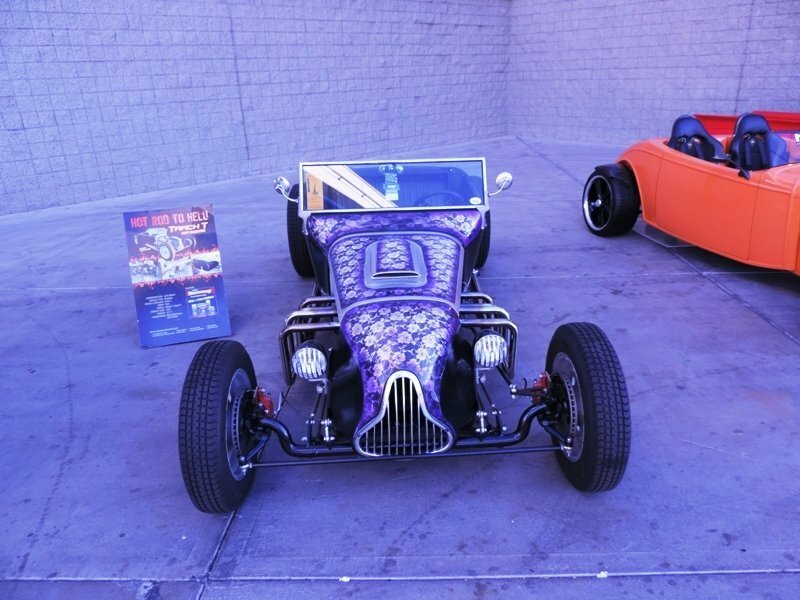 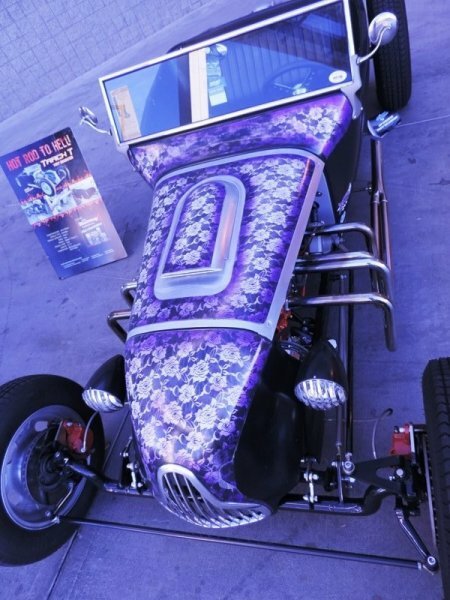 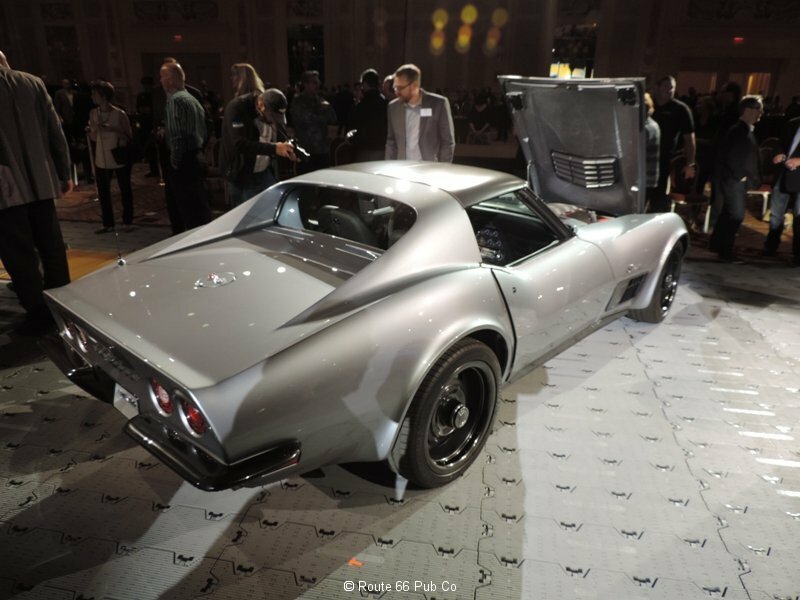 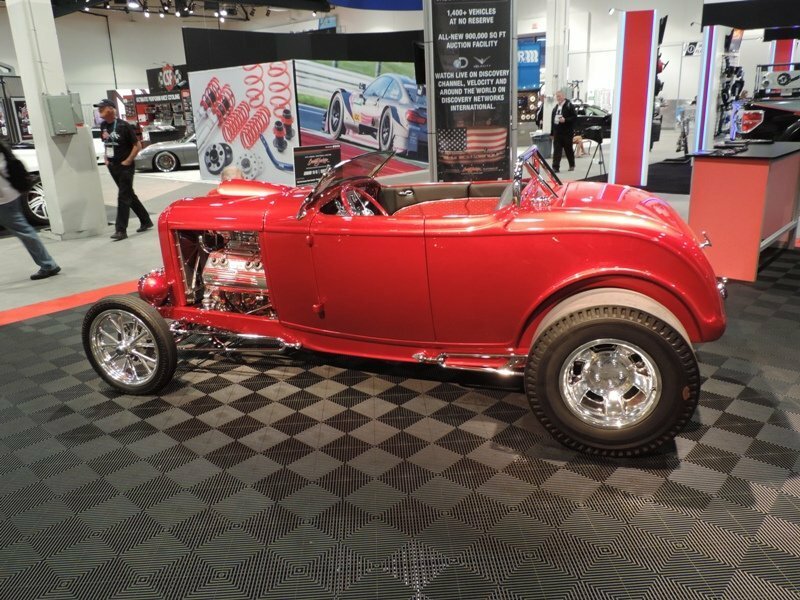 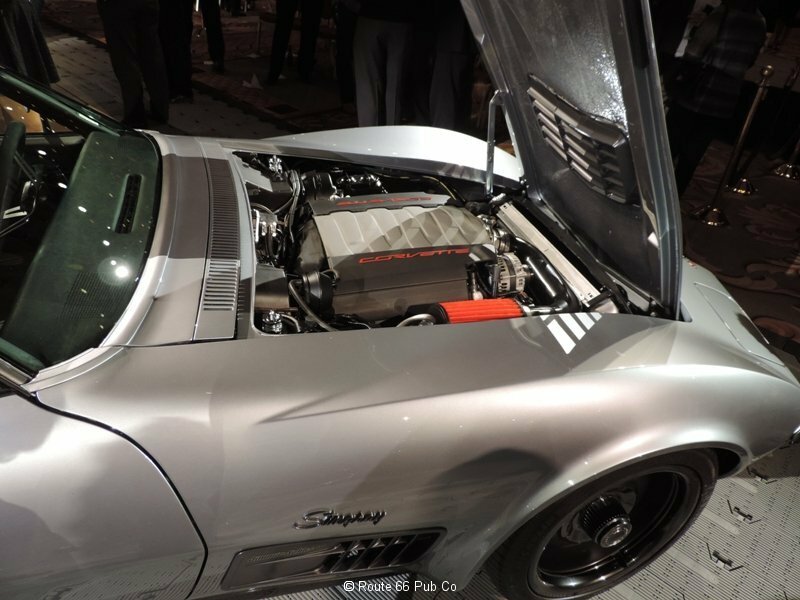 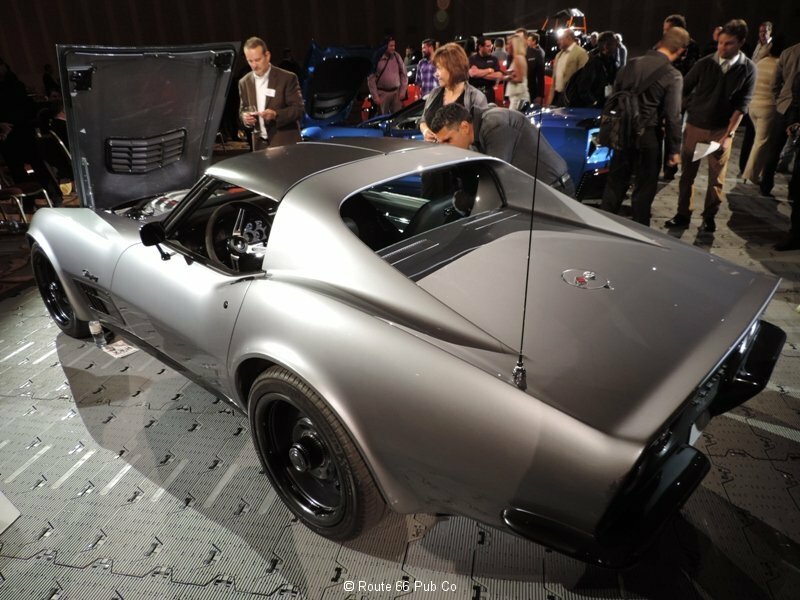 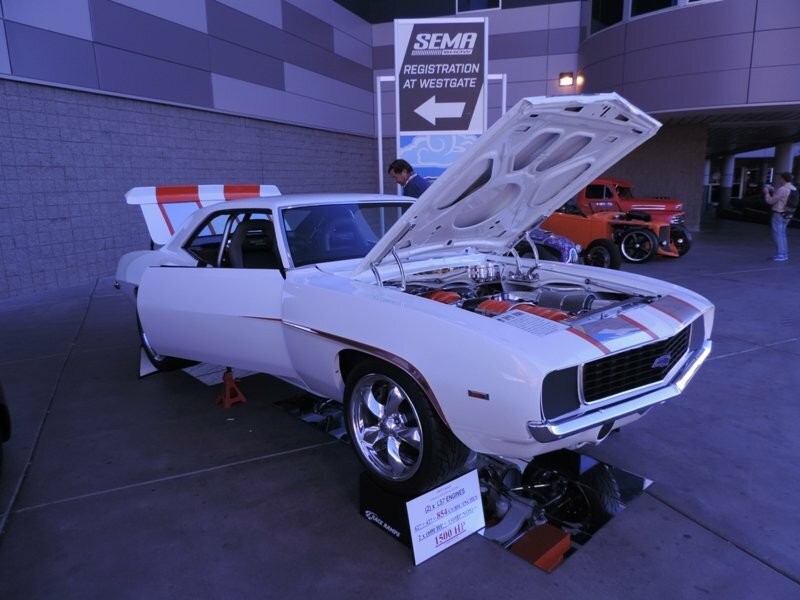 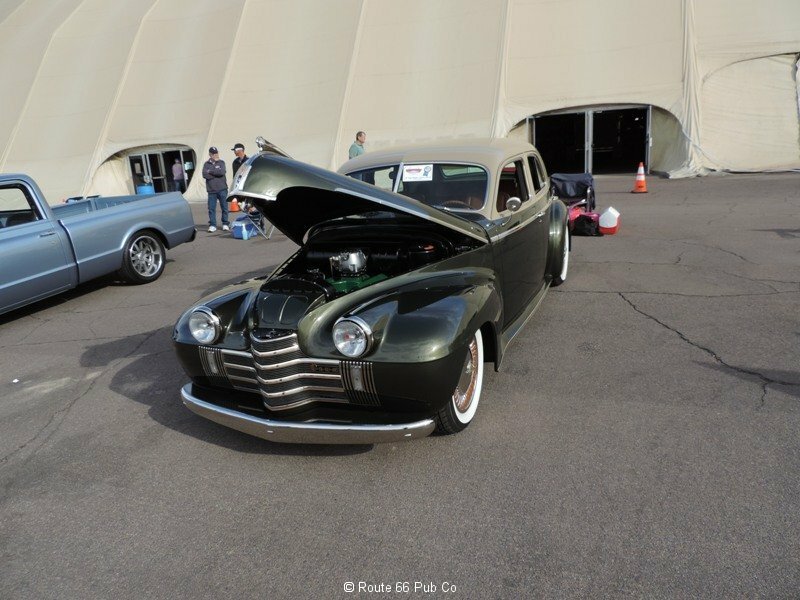 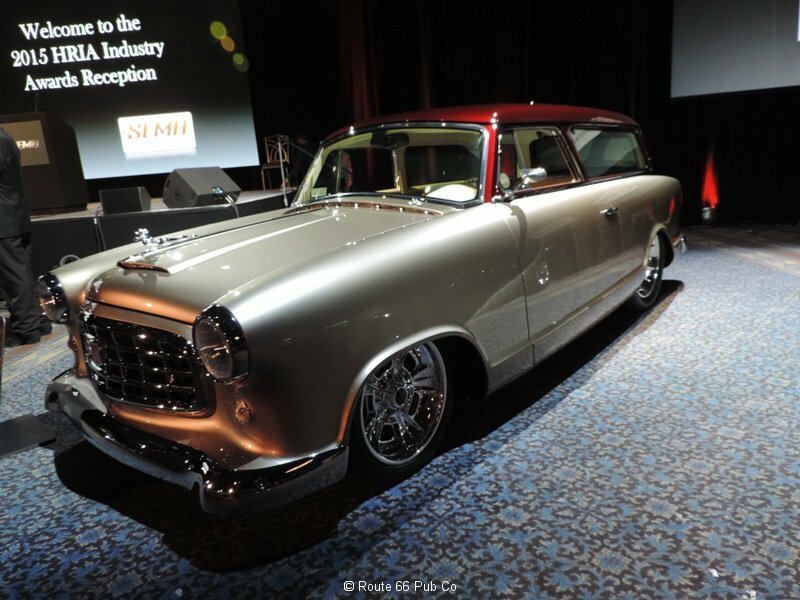 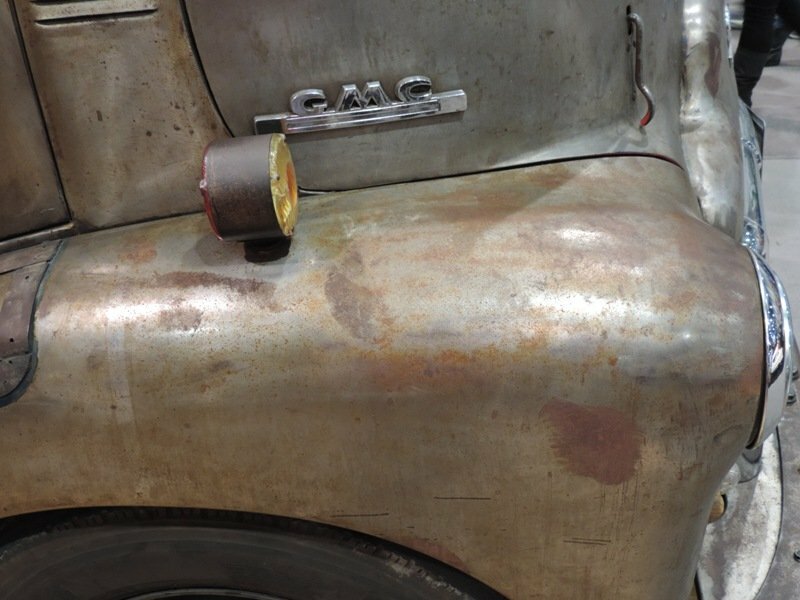 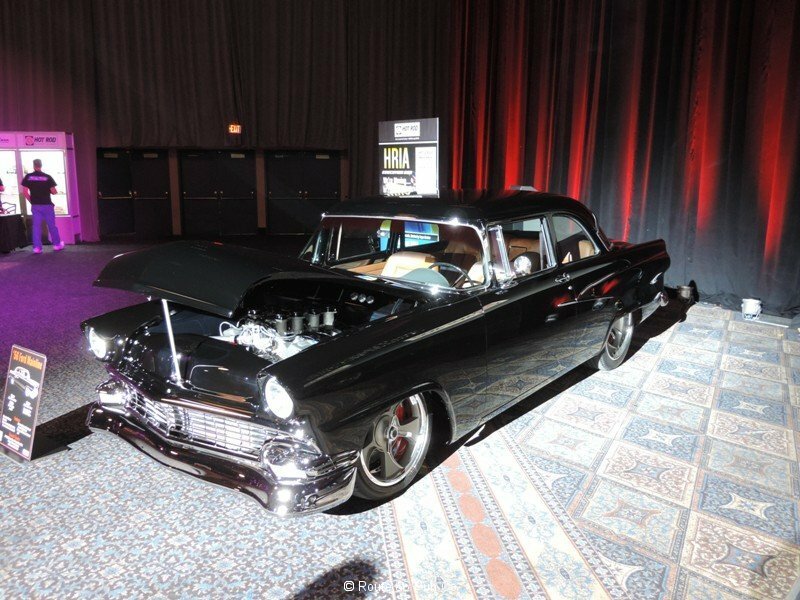 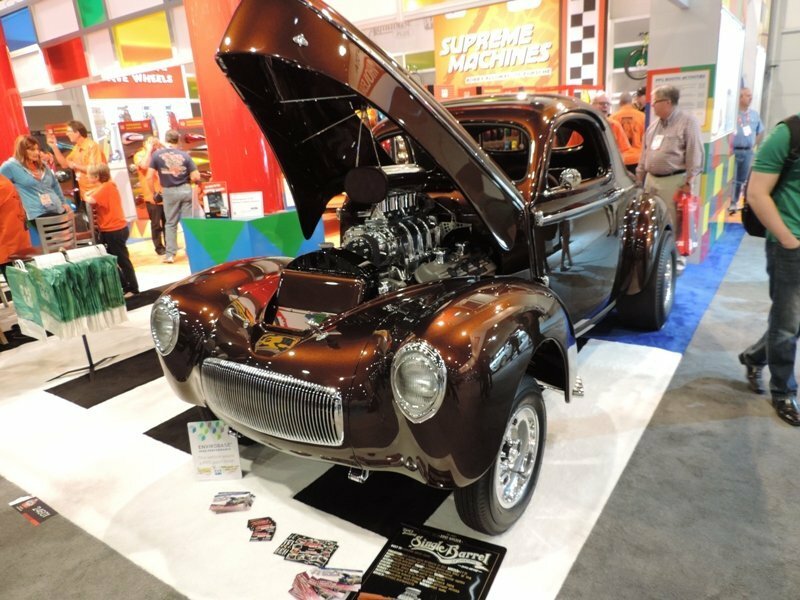 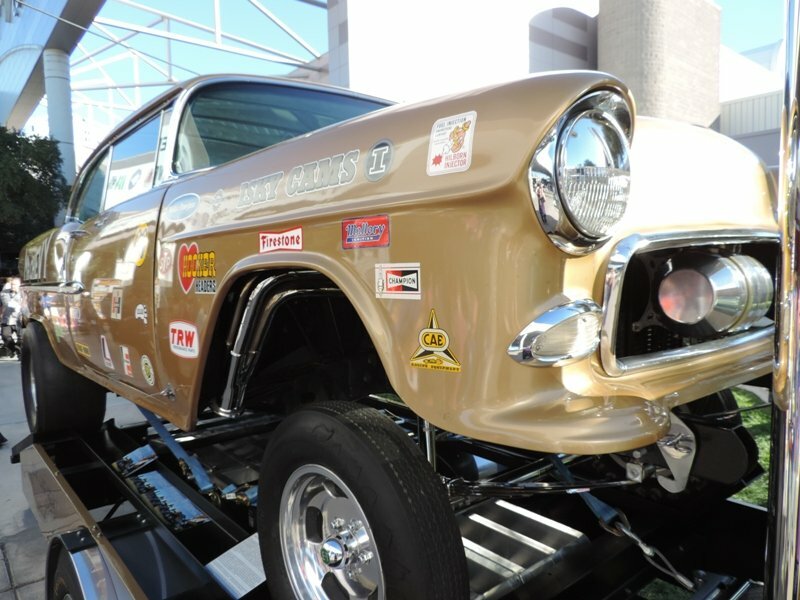 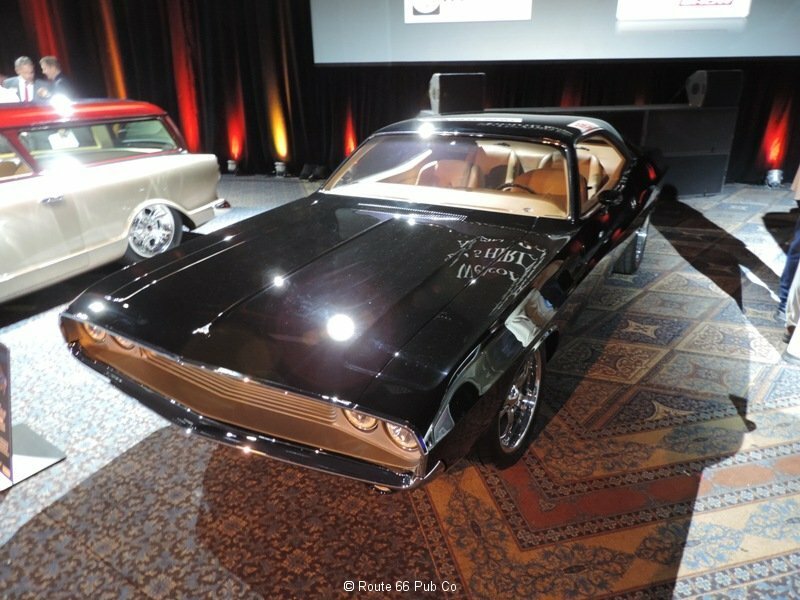 The Hot Rod Industry Alliance (HRIA) holds an evening reception during the SEMA Show. 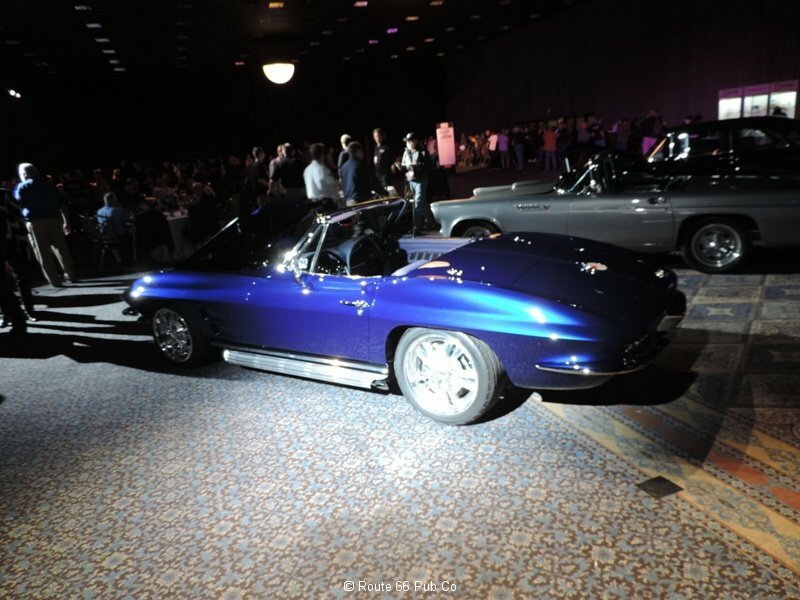 And while I enjoy meeting up with old buddies and making new friends, I also enjoy checking out the cars that were handpicked to be displayed at the reception. 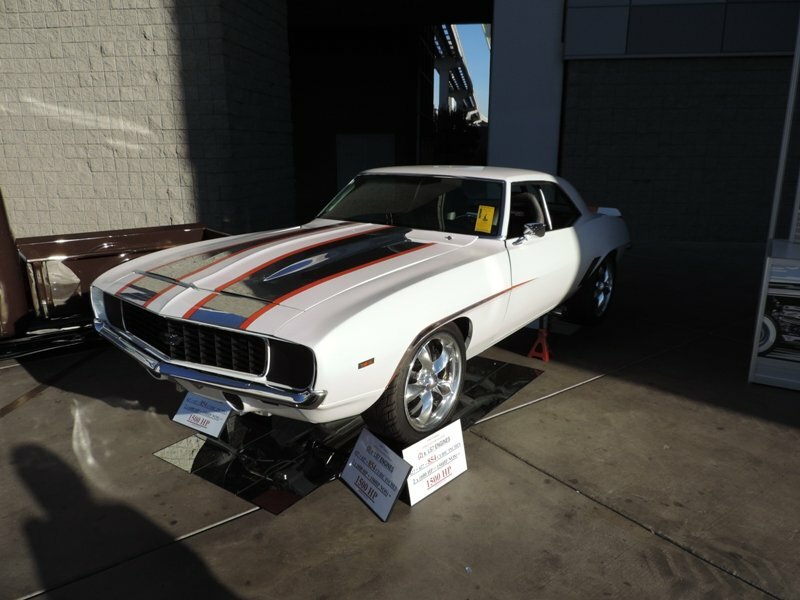 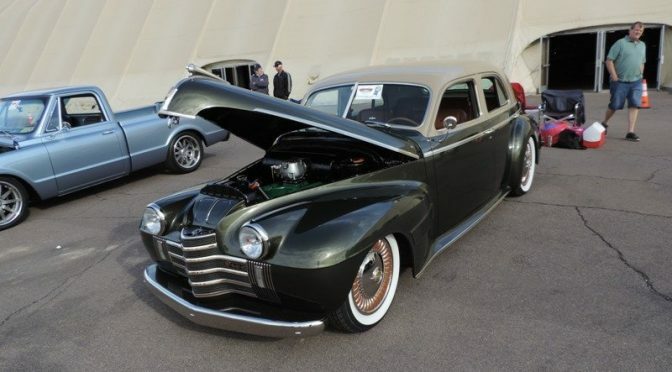 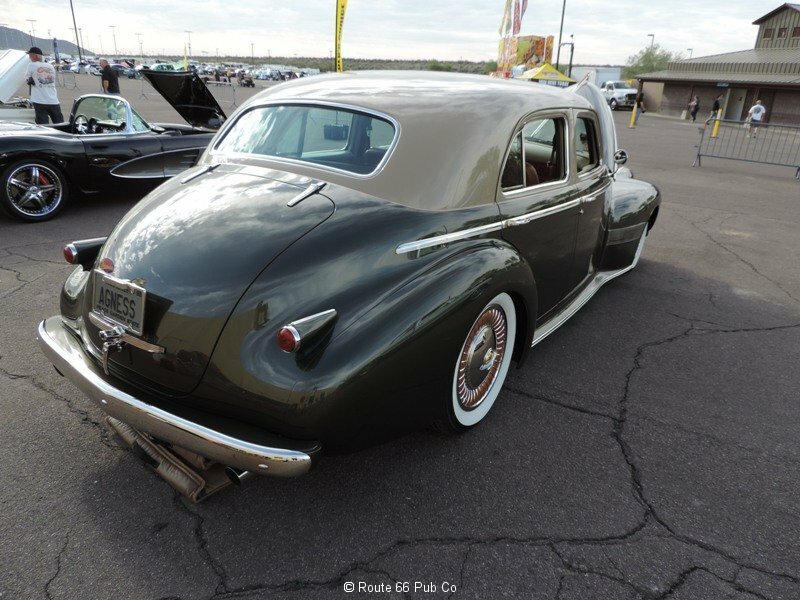 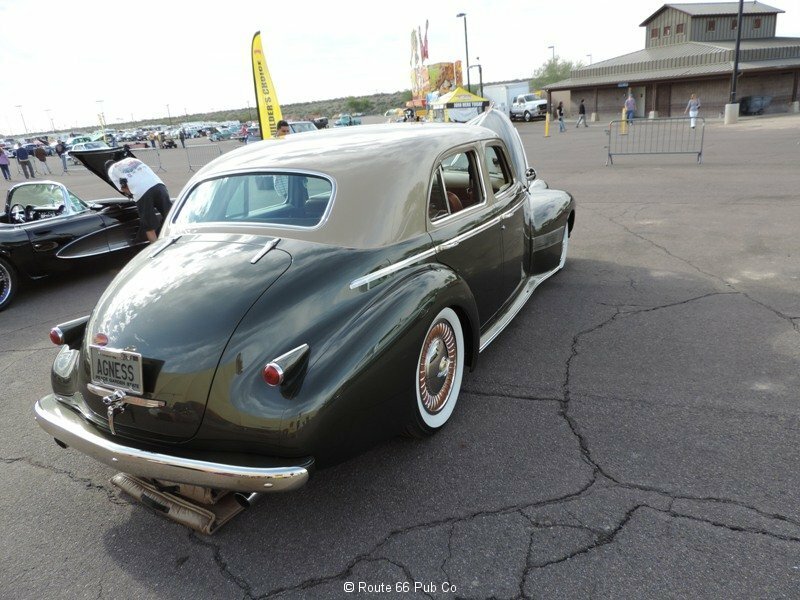 A total of six cars and trucks were highlighted this year, so let’s take a look at these beauties. 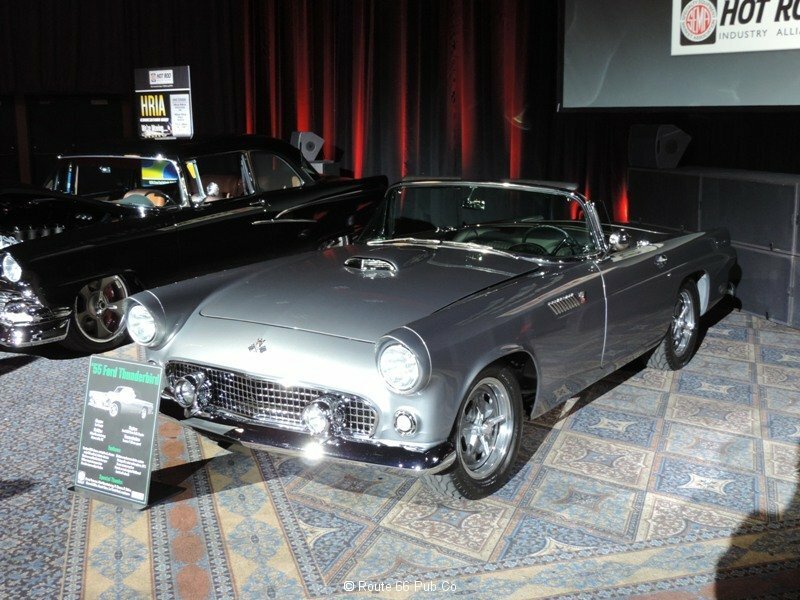 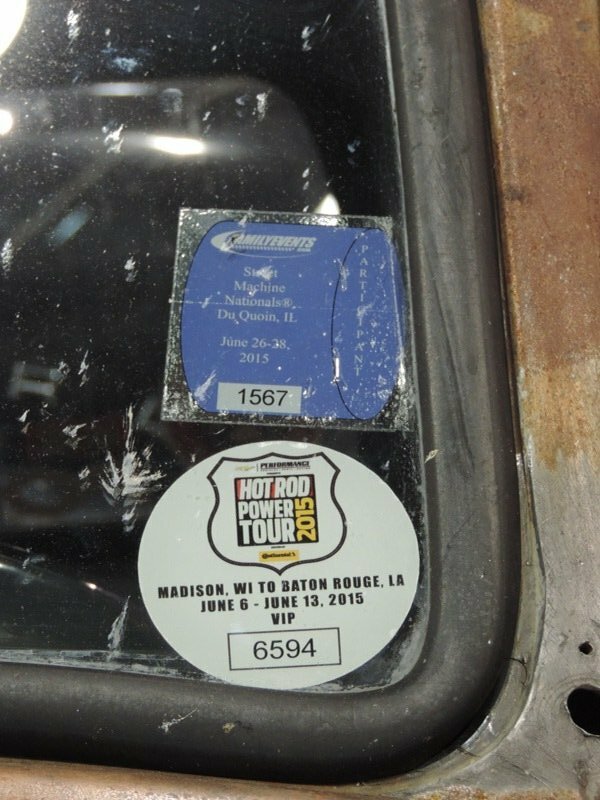 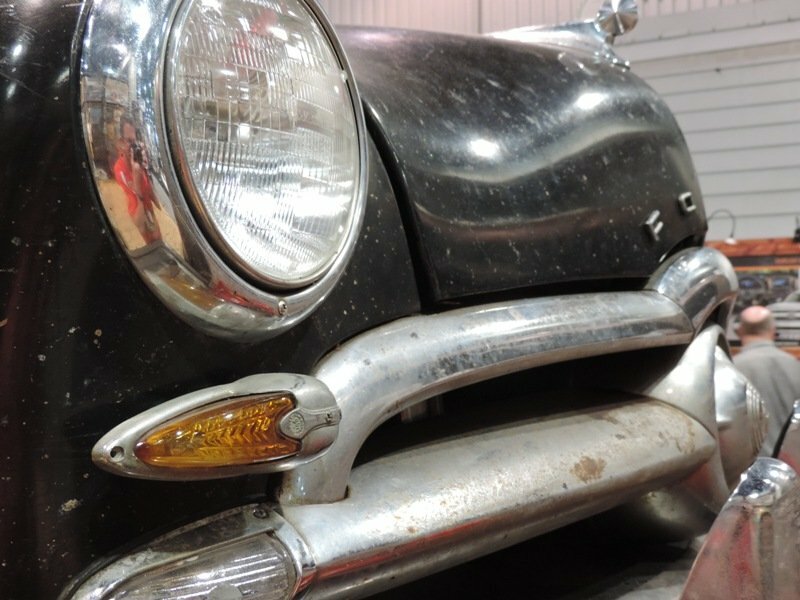 From NASCAR’s” hometown” Mooresville, NC came this 55 Thunderbird in silver hues. 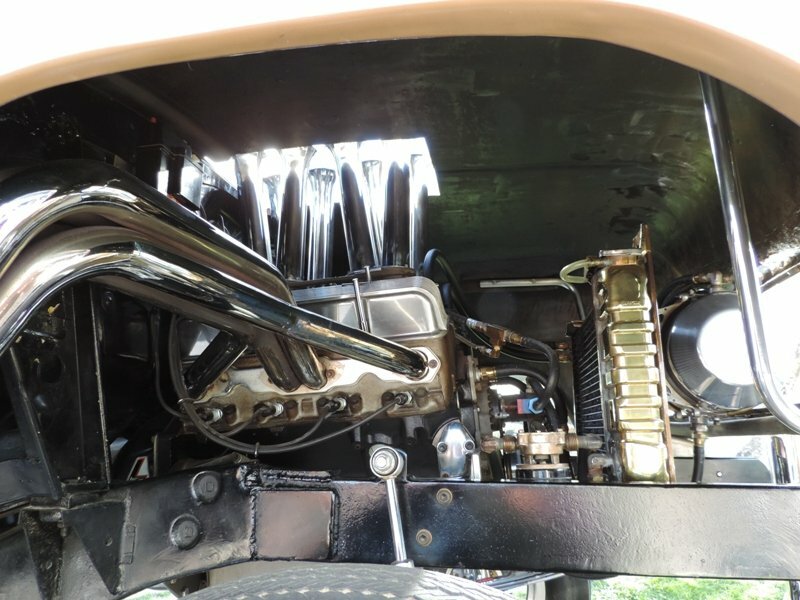 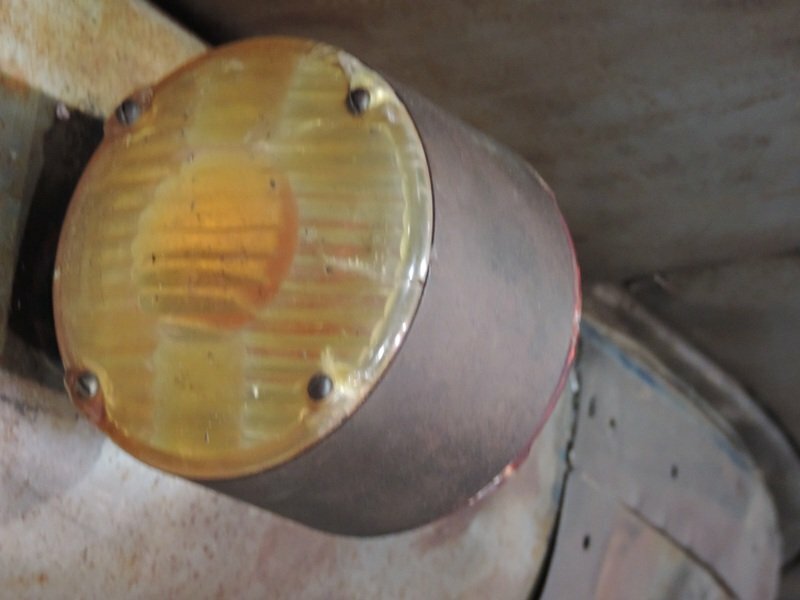 A tube chassis mated up to a stock floor pan. 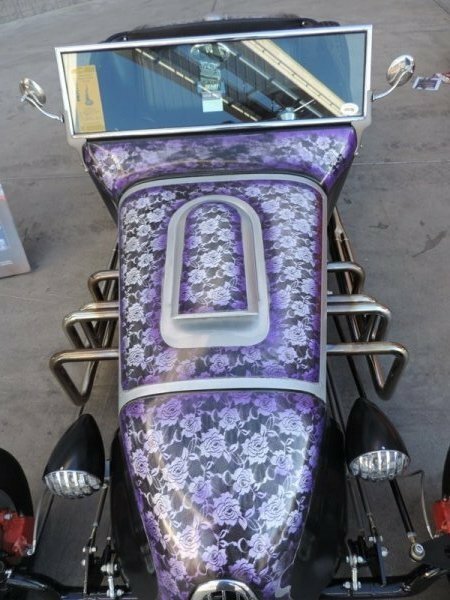 It has a Ford Coyote 5.0 L 302 under the hood and Tremec six speed, with Vintage Air Conditioning and nice Halibrand knock off wheels. 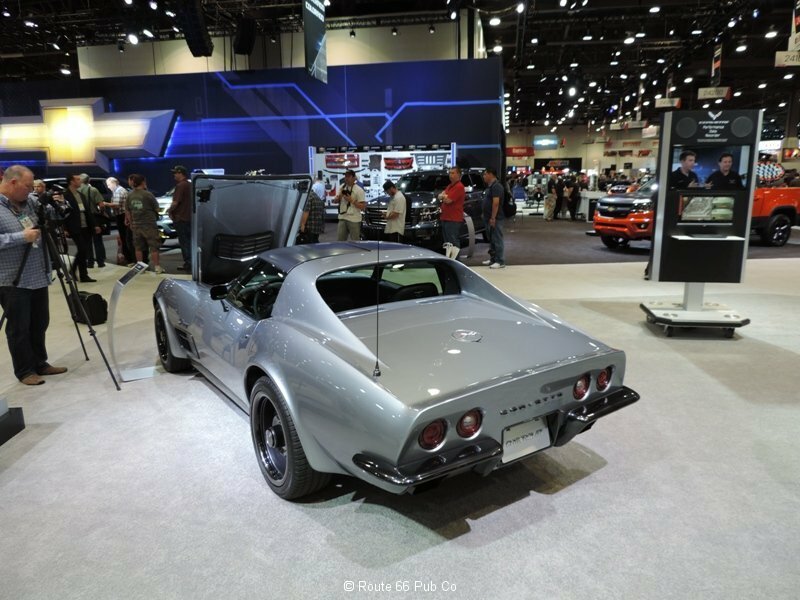 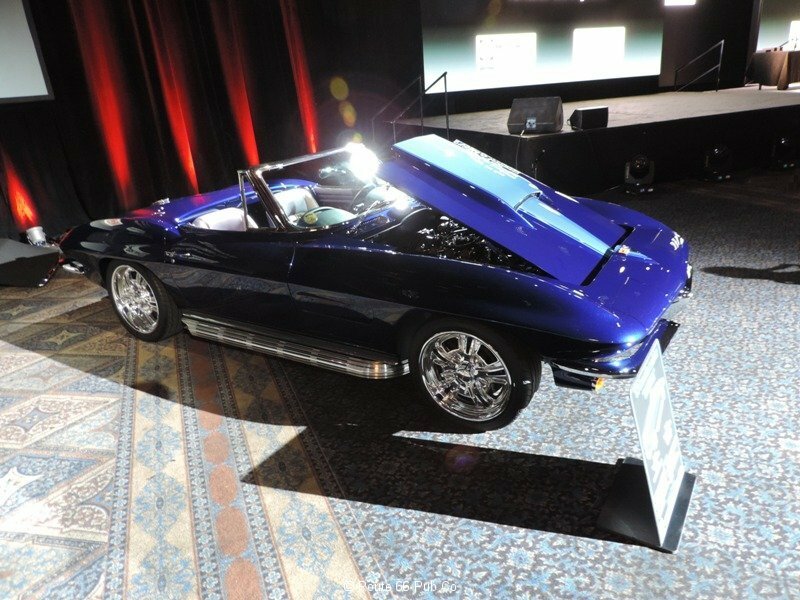 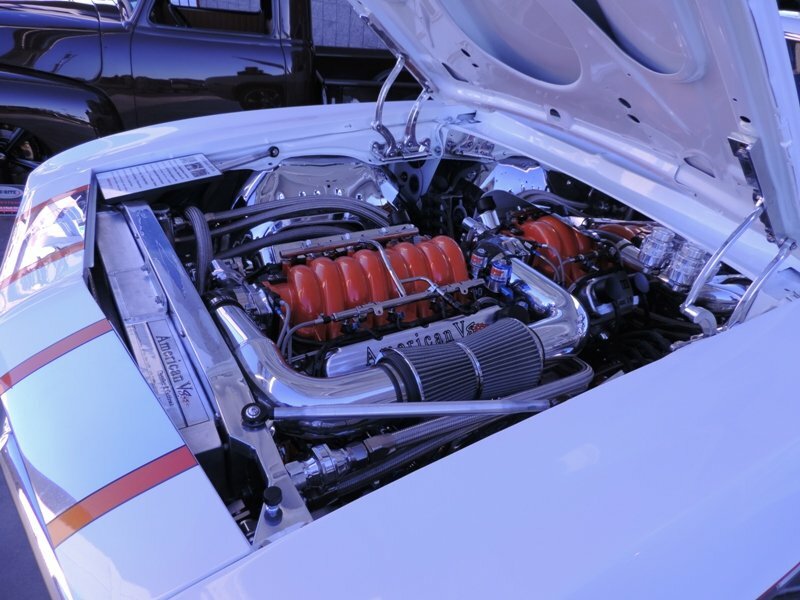 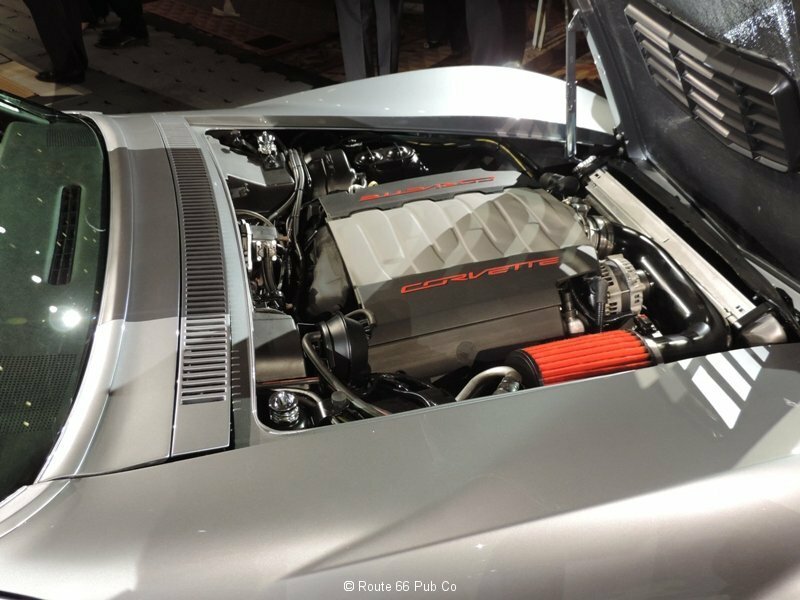 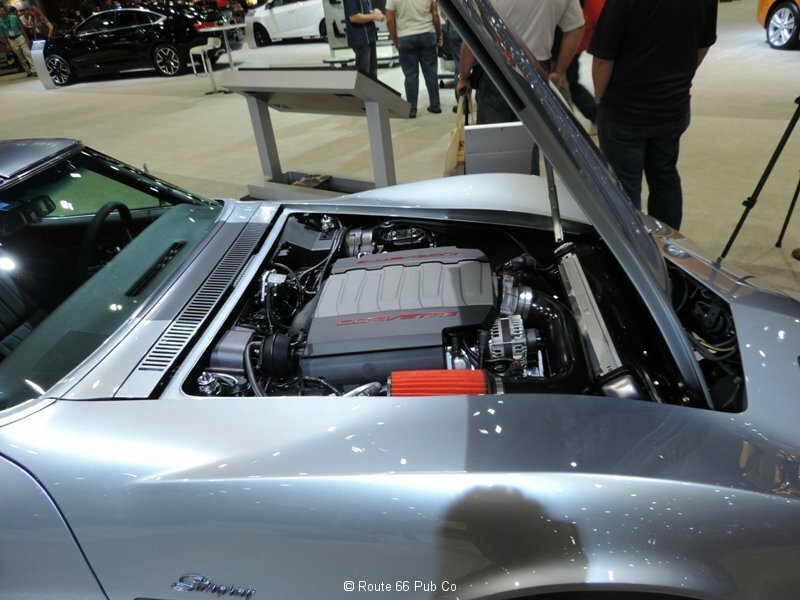 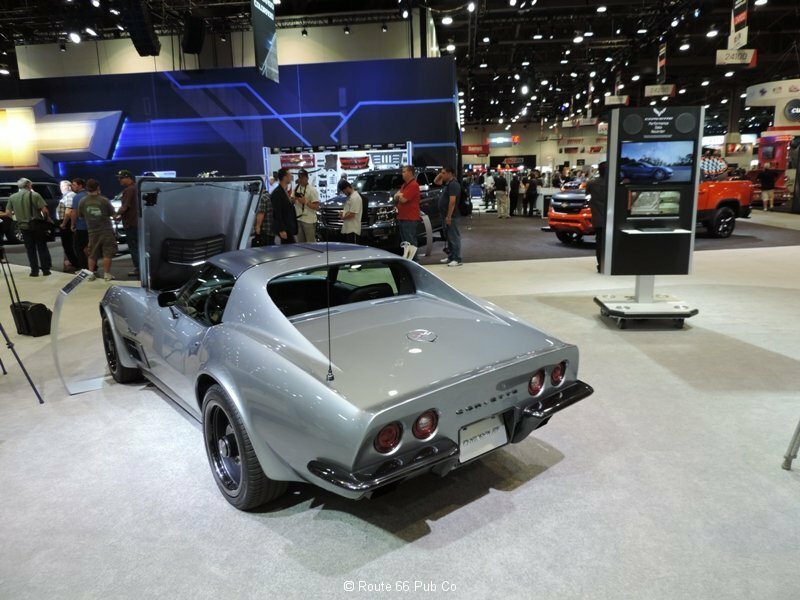 This convertible Corvette is powered by a Chevy small block 355 with a five speed Tremec. 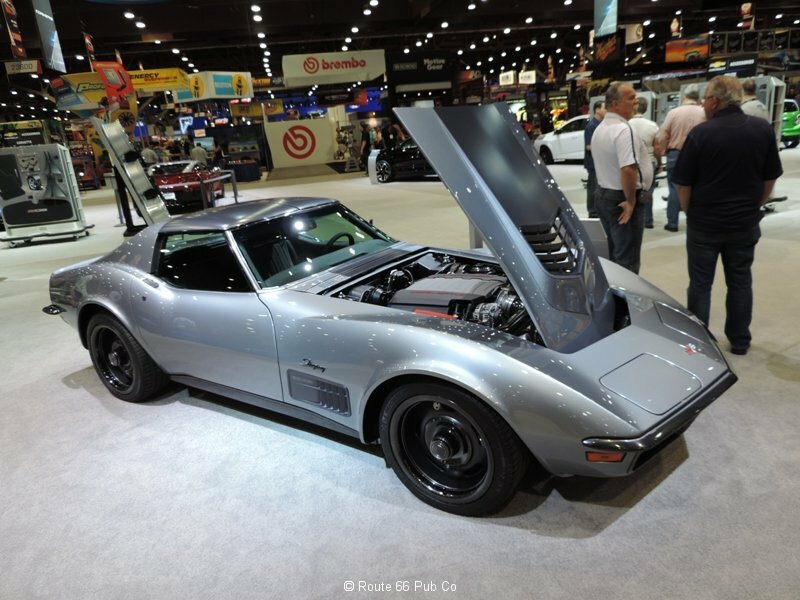 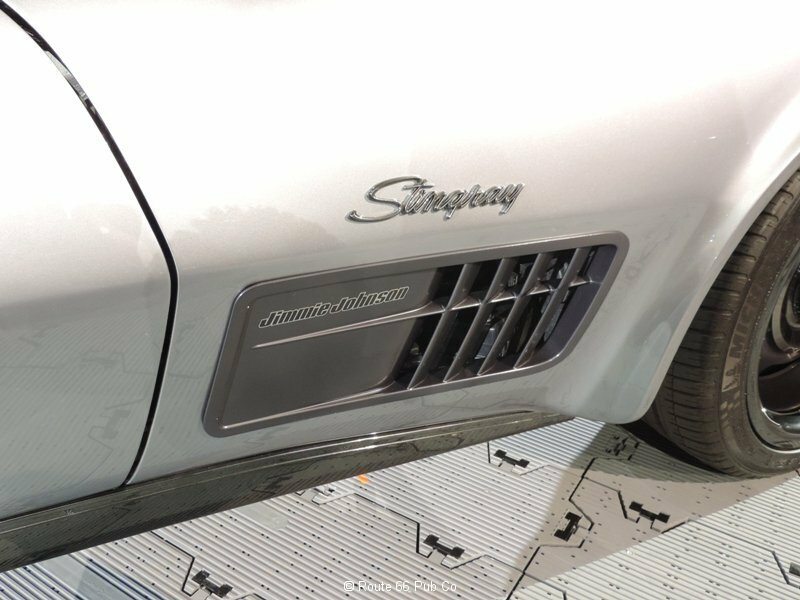 A slick set of Inglese side draft carburetors looked mean and it borrowed some C4 chassis components and a C5’s brake set up. 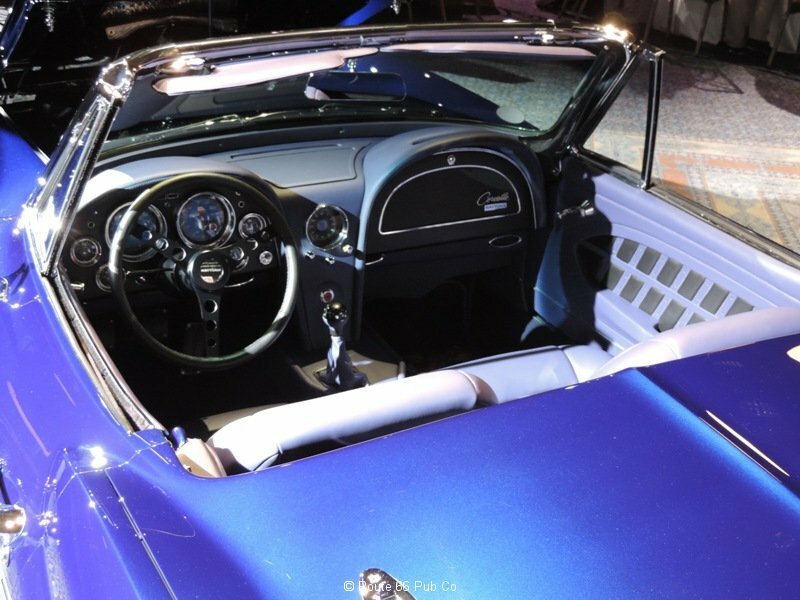 The blue color was an added touch. 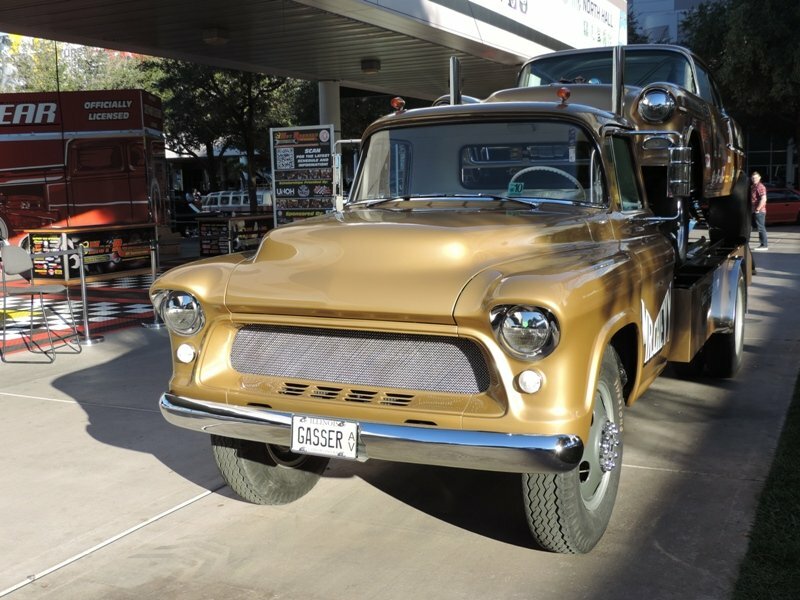 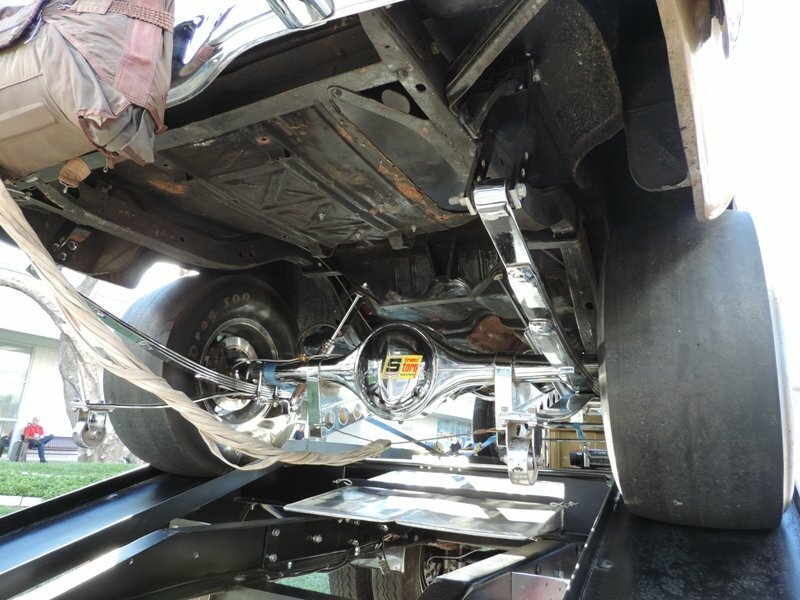 Another Texas build, this one used an Art Morrison chassis and a 528 Boss engine with a TKO 600 transmission. 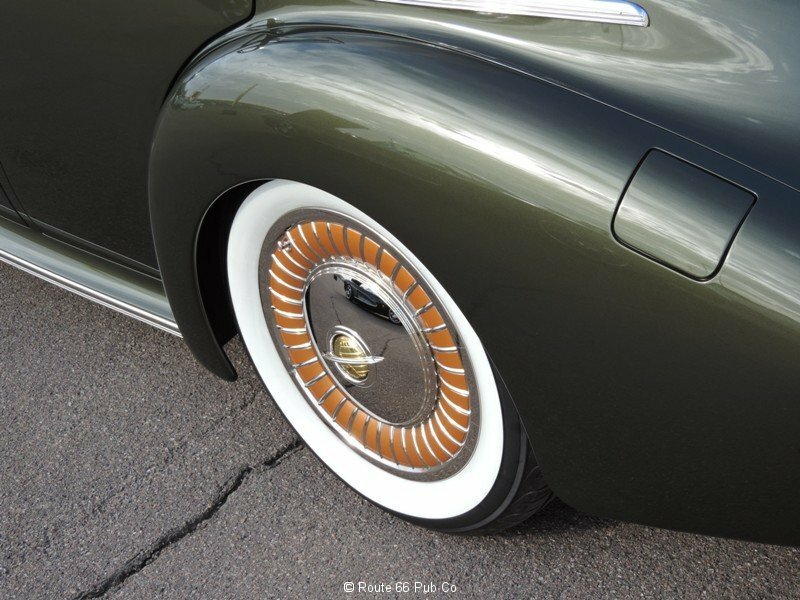 Knock of wheels looked nice with that stance and Gabe’s Interiors did the upholstery. 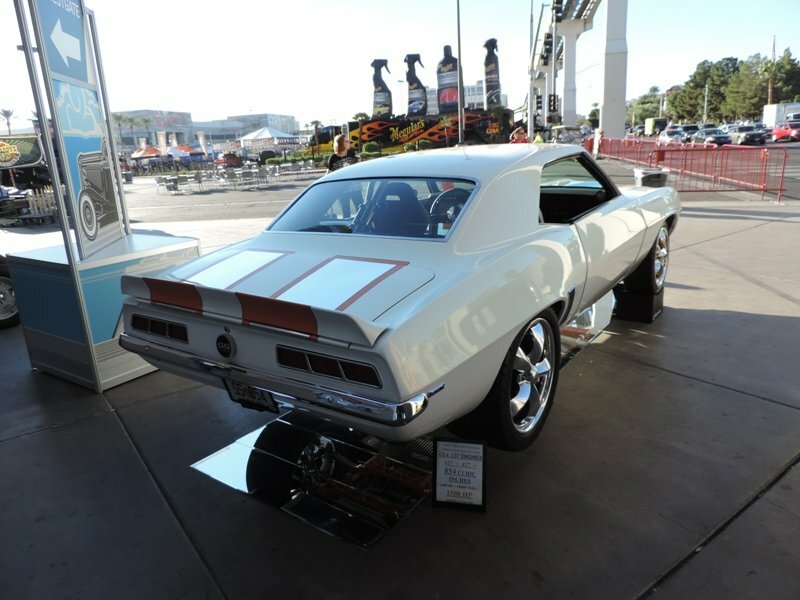 I never get tired looking at this beauty. 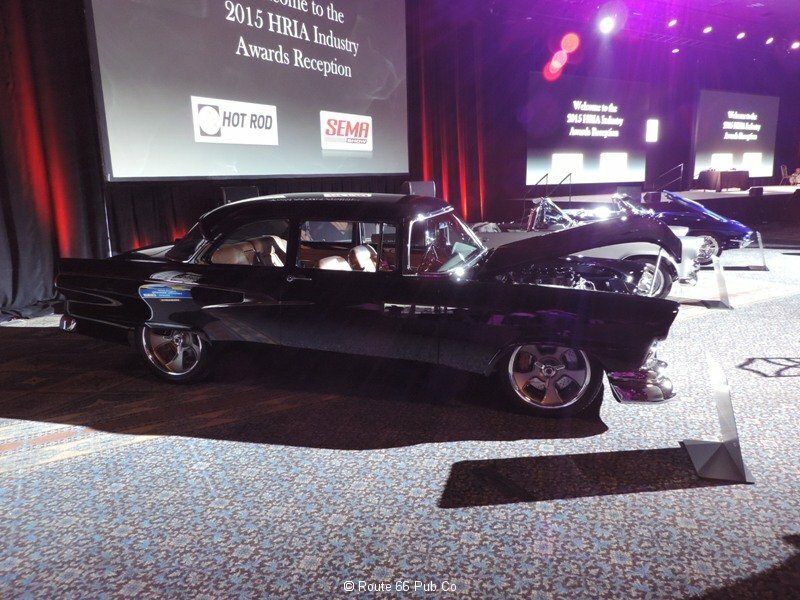 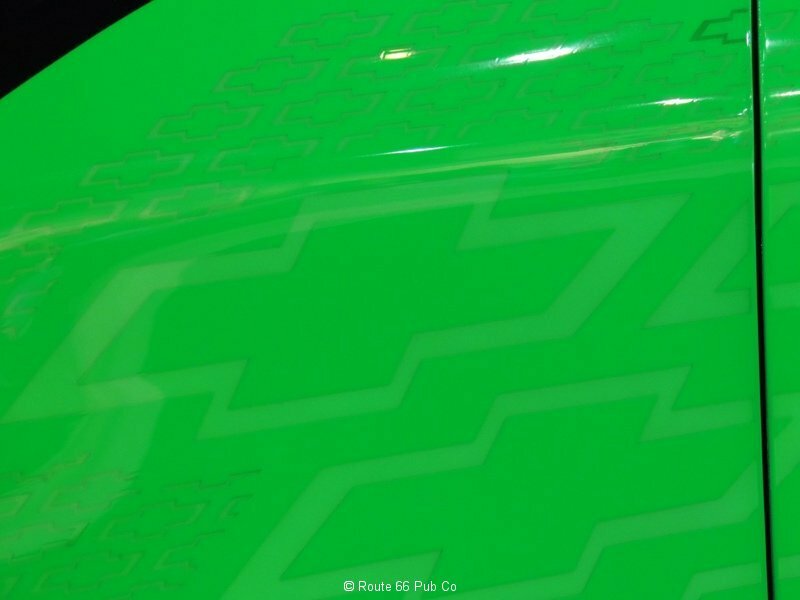 It was a Great Eight finalist for the Ridler Award in Detroit. 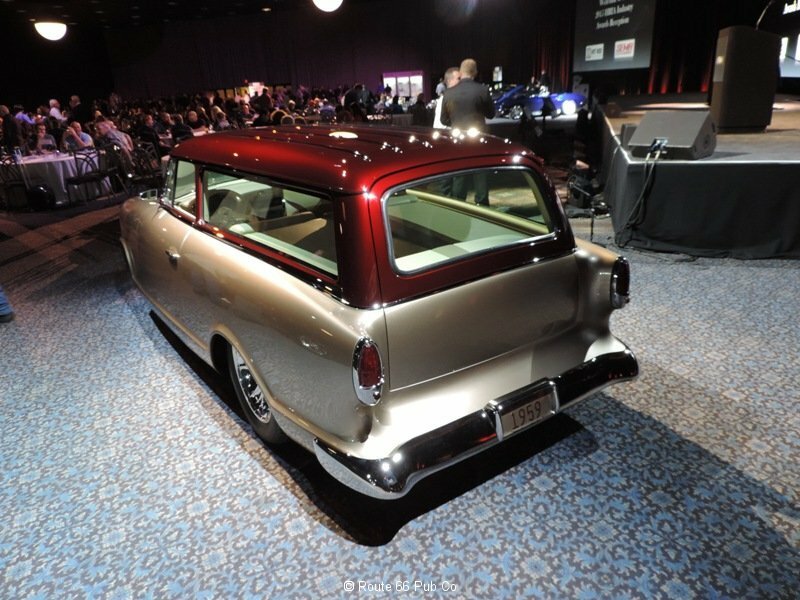 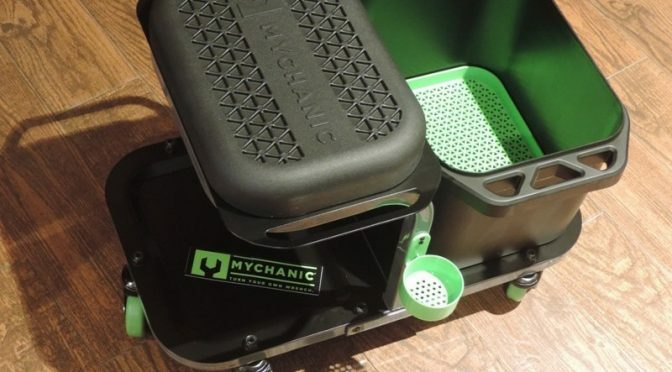 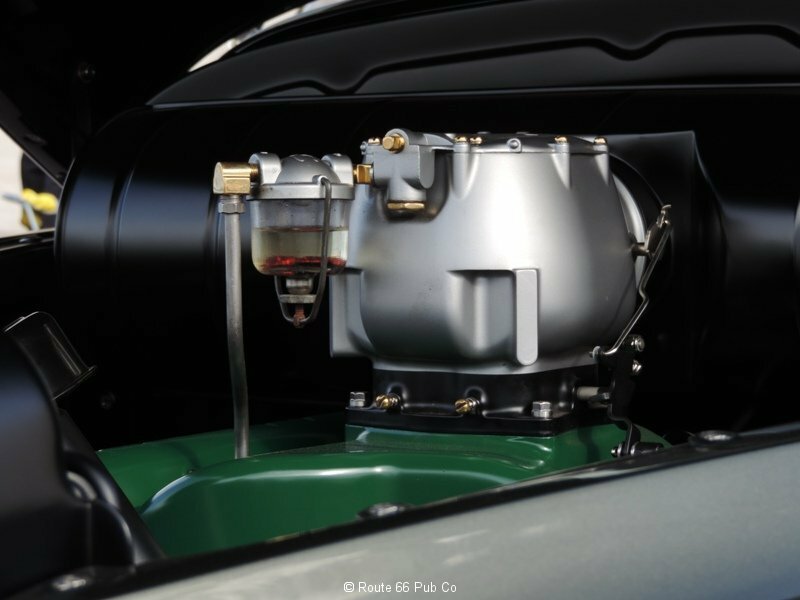 The 2 door wagon features a LS small block with Hemi heads and a supercharger. 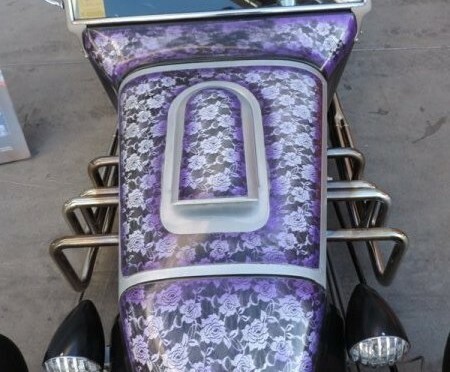 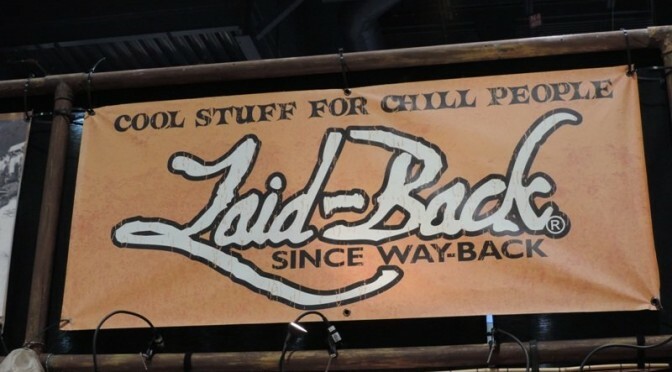 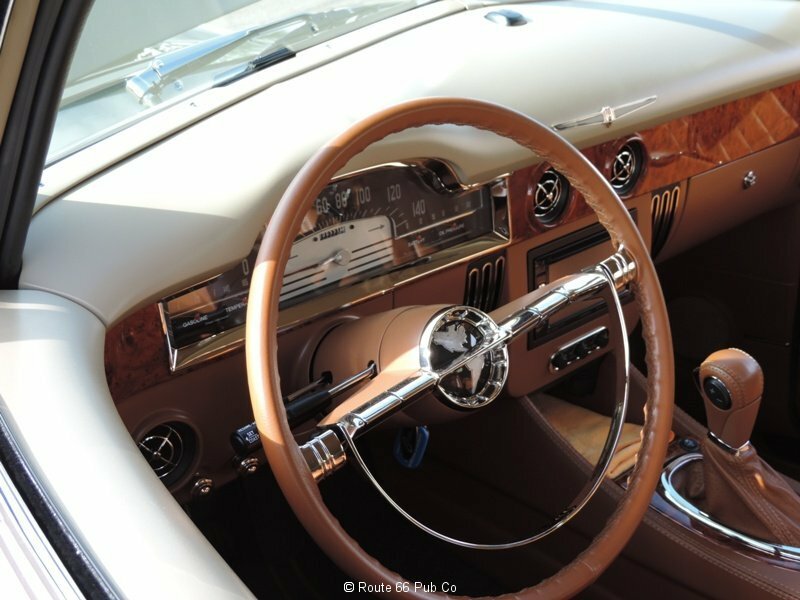 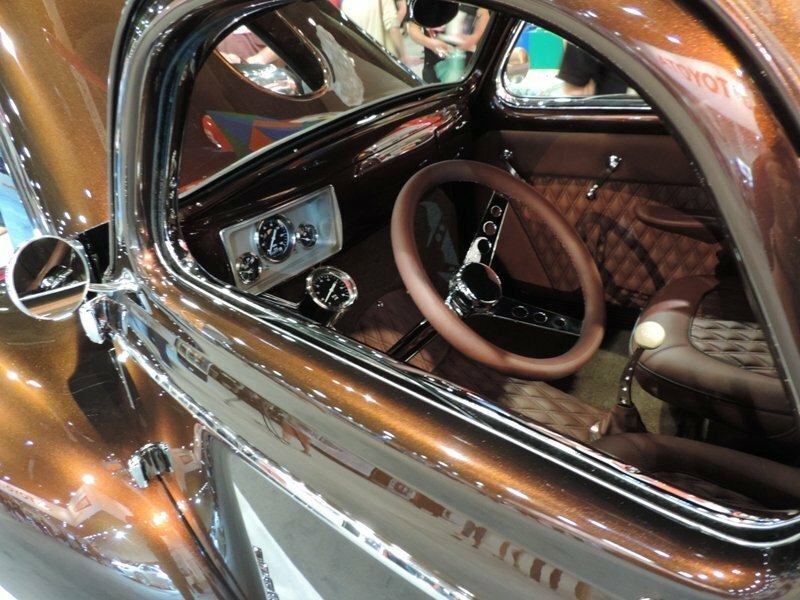 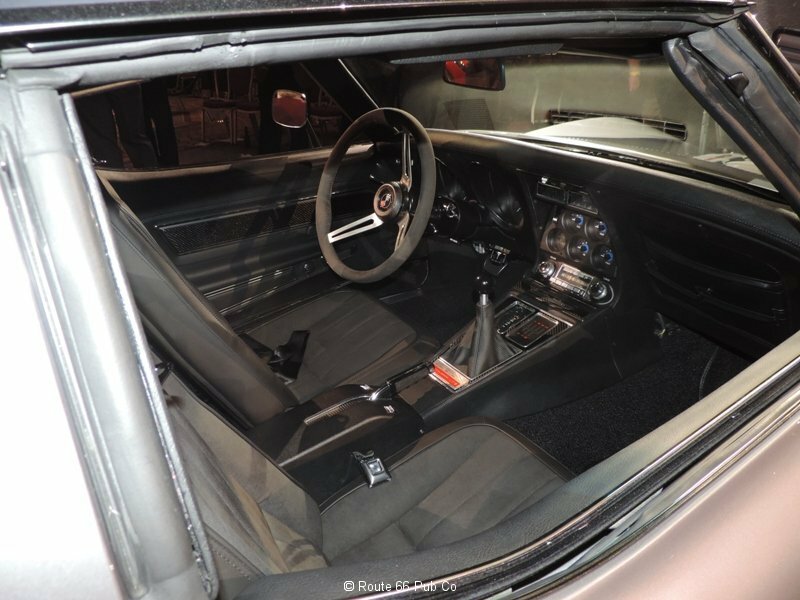 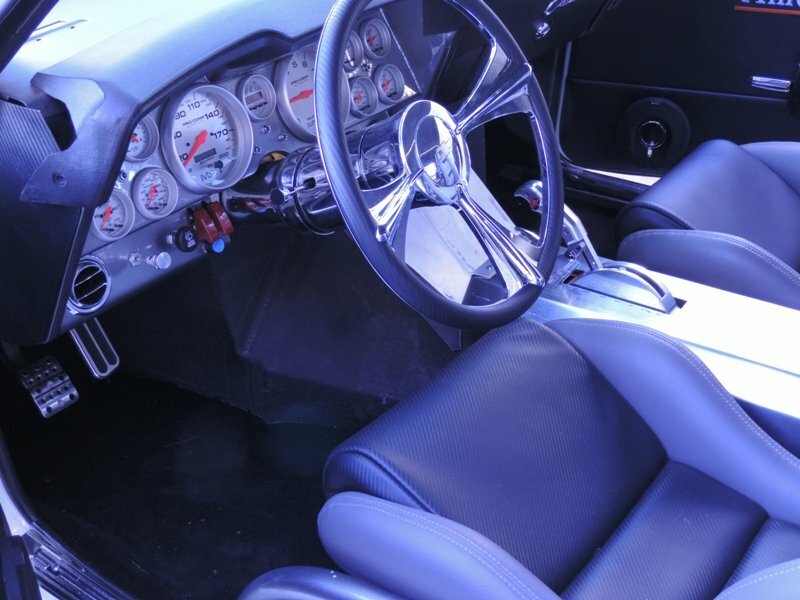 Gabe’s did this interior as well and a Mesa, AZ shop did the work, including over 30 body modifications. 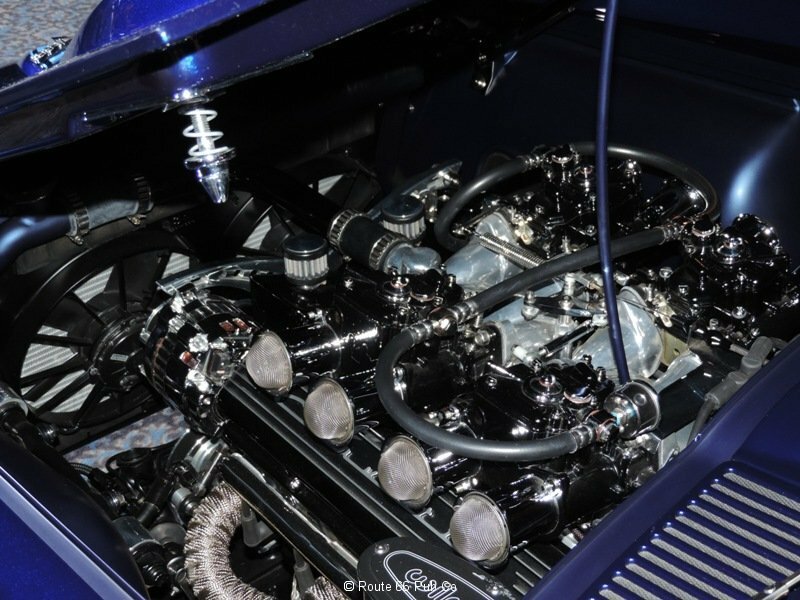 This blue beauty hailed from Mooresville, NC as well and used a 4L60E transmission with an Edelbrock EFI set up. 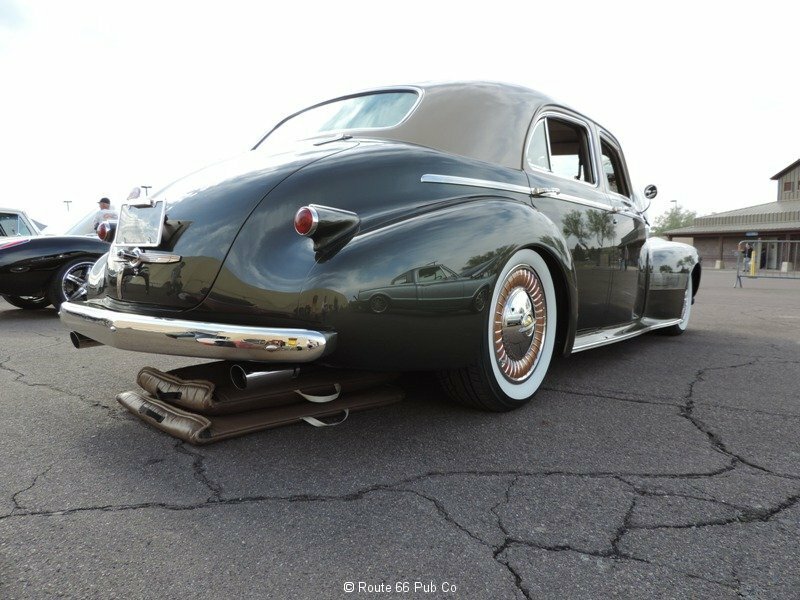 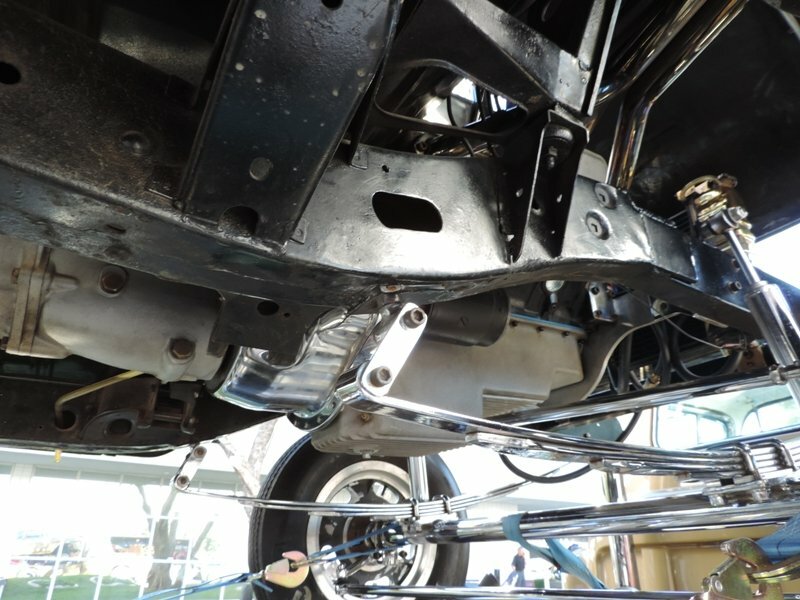 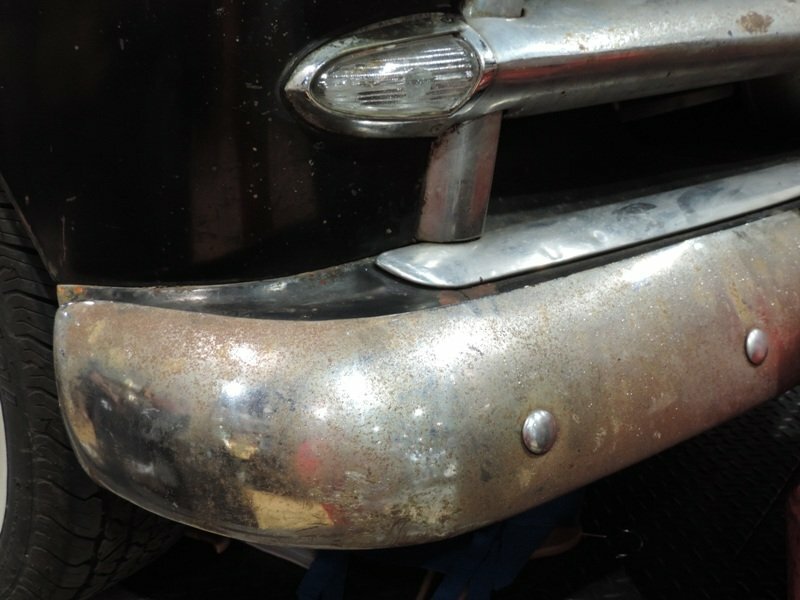 Lots of custom work went into shaping those bumpers and changing the rocker panels by lowering them. 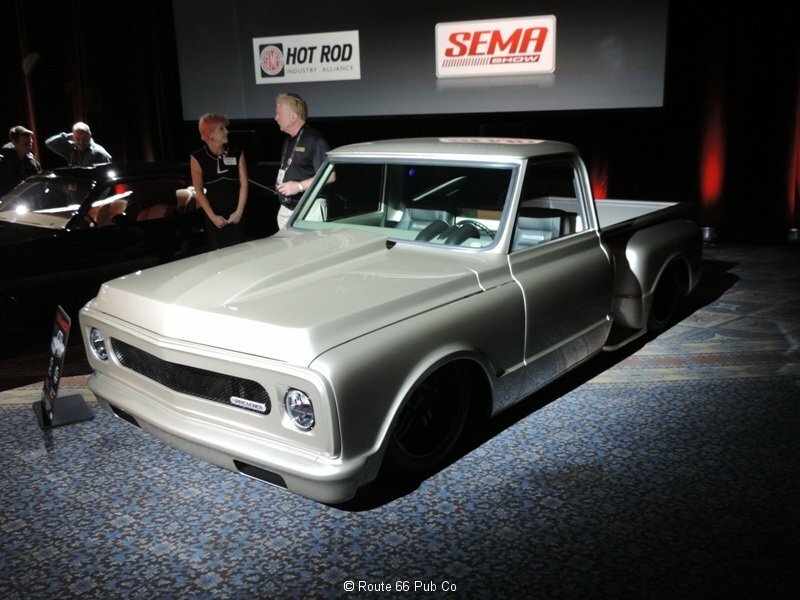 In acknowledgement that trucks can be hot rods and the C-10 is a hot model, out rolled this nice 1969 Chevy. 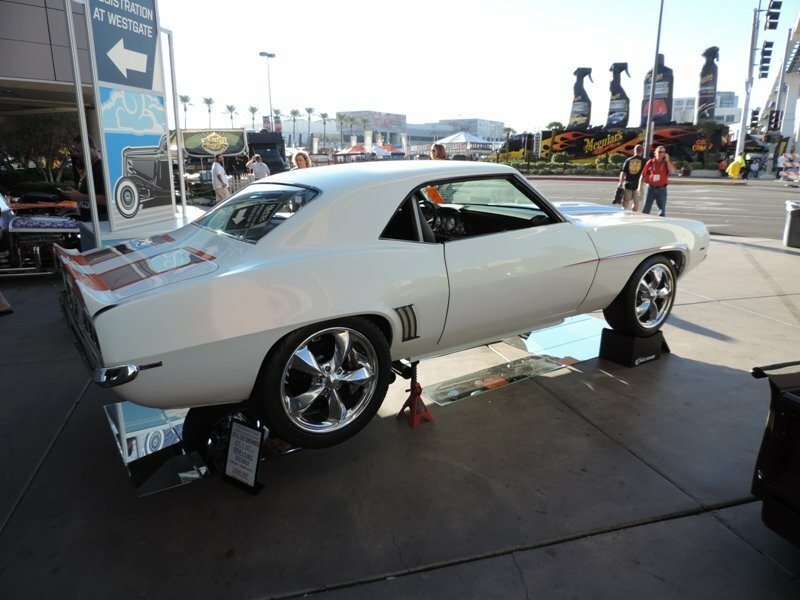 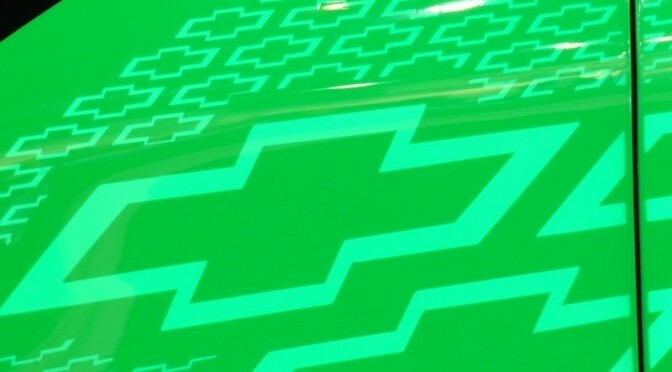 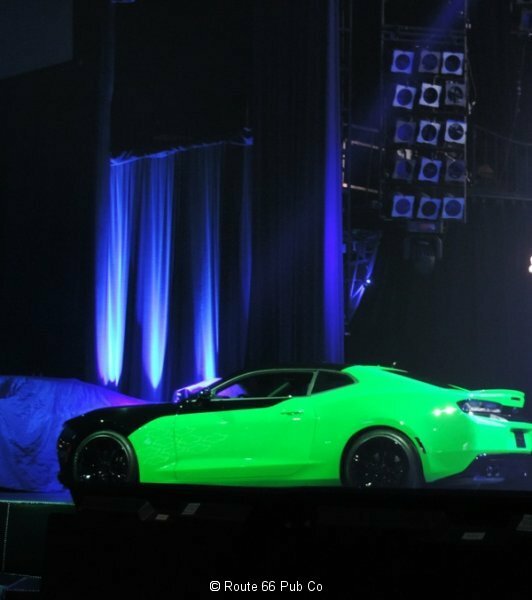 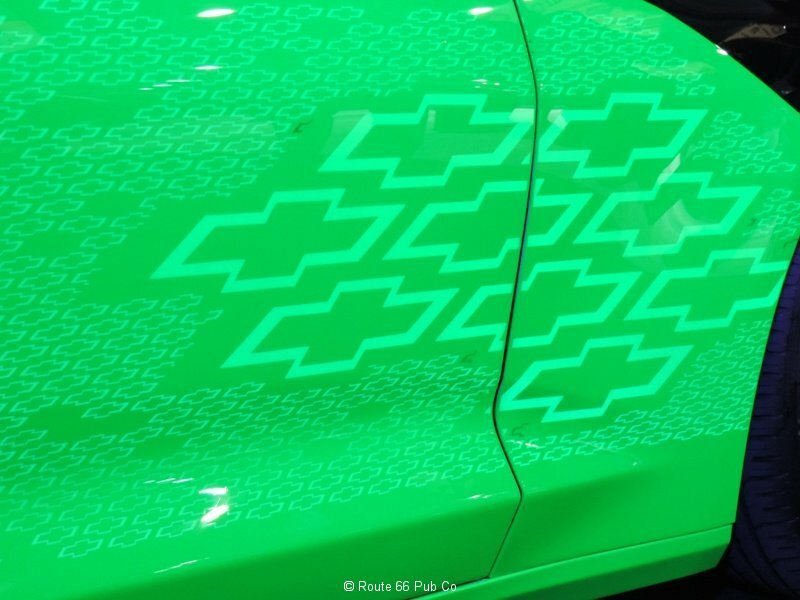 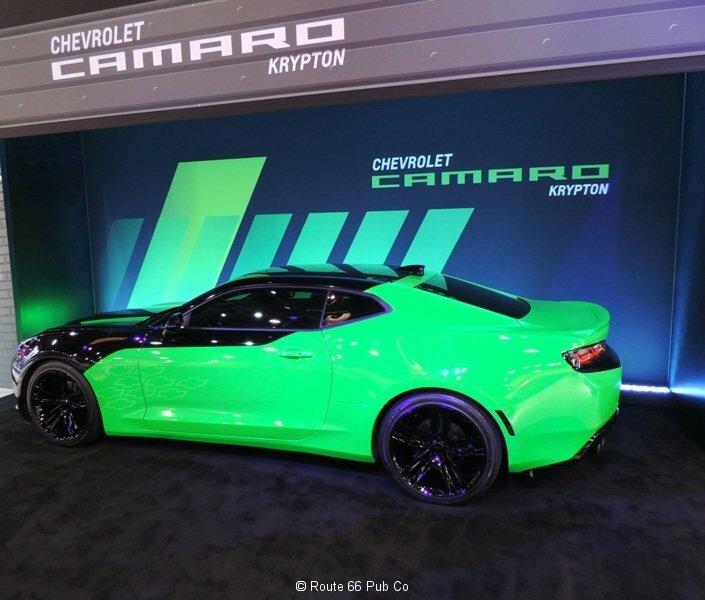 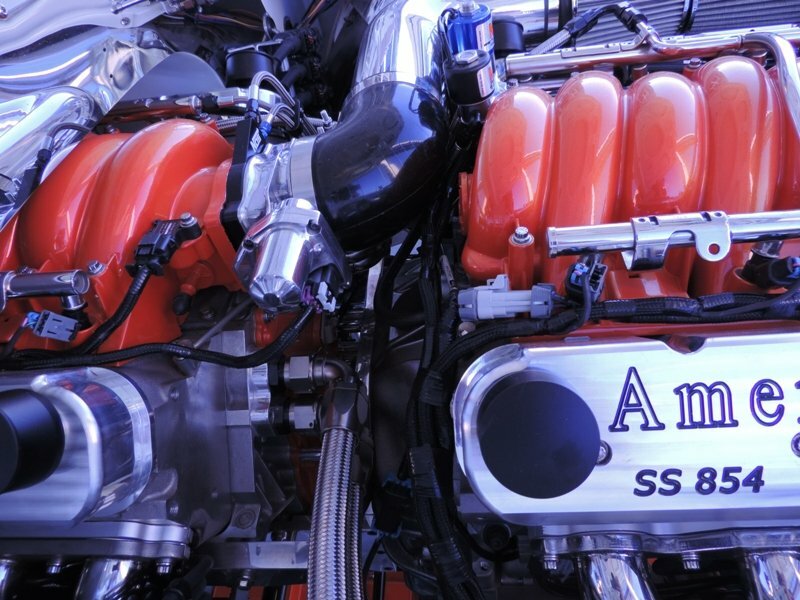 It has a LSX engine (461 ci) with a supercharger and a Tremec six speed. 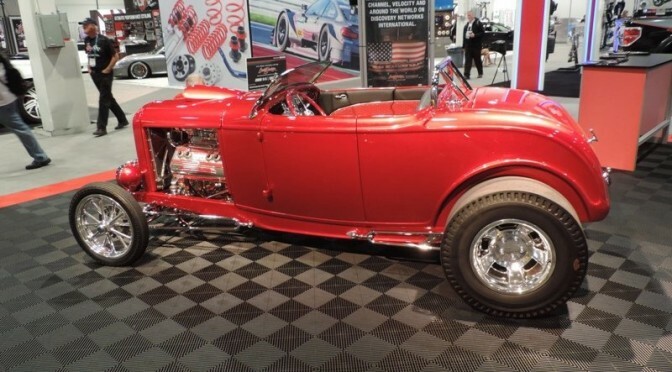 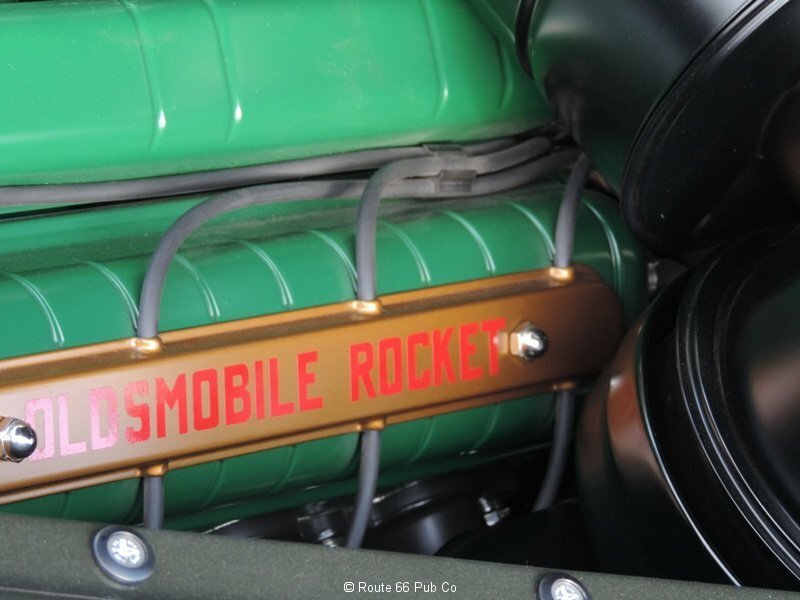 The Roadster Shop supplied the chassis and the owner claims 1000 horsepower with this set up. 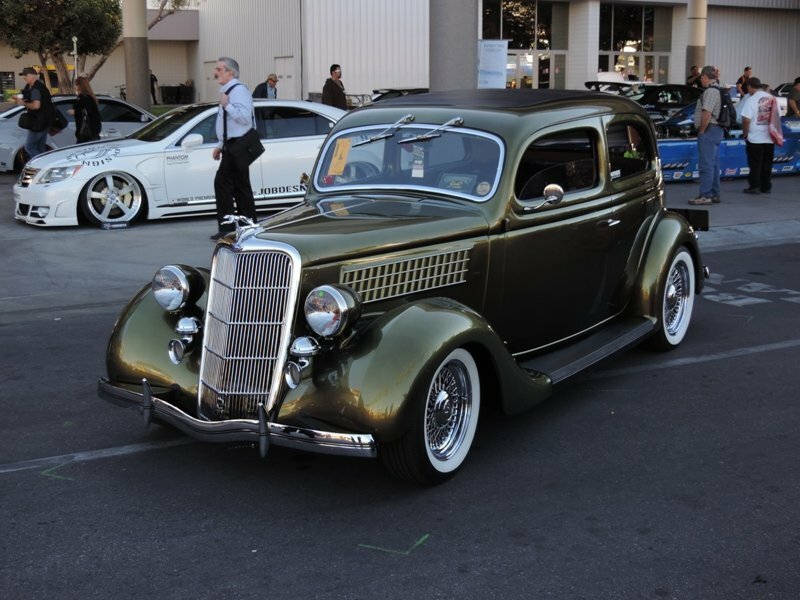 So a nice collection of vehicles helped make for a great evening with the Hot Rodders. 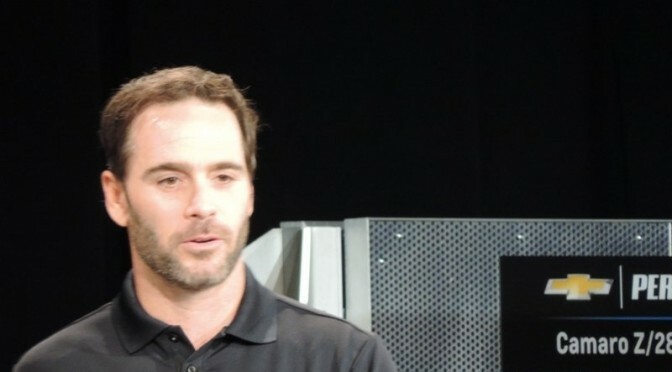 They gave out some nice awards and acknowledgements. 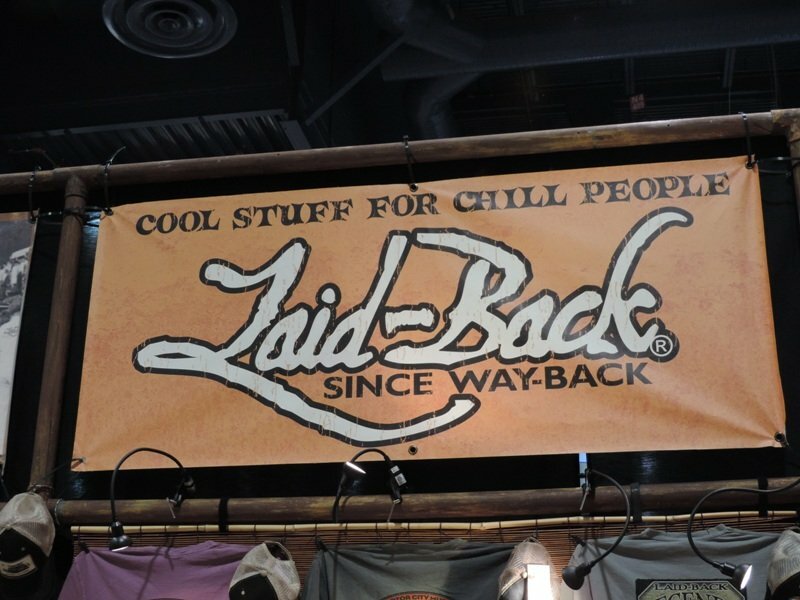 Can’t wait to meet up with them next year. 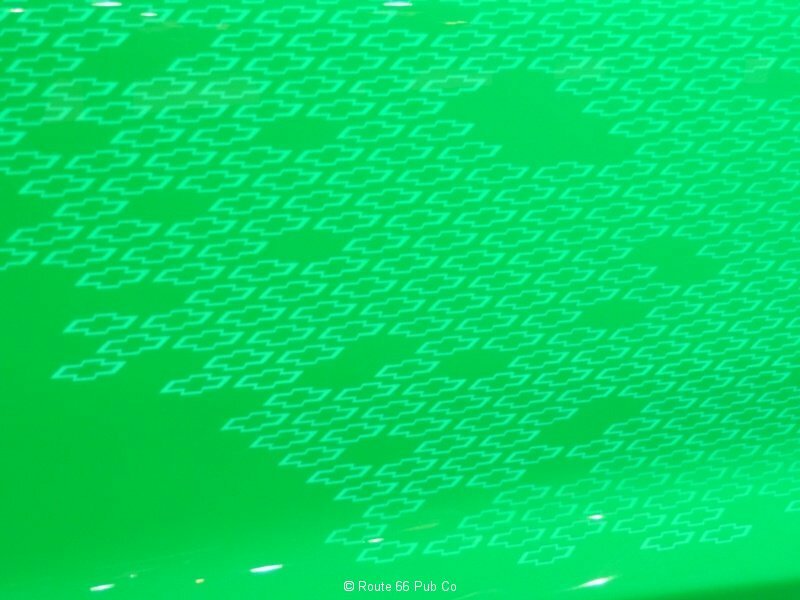 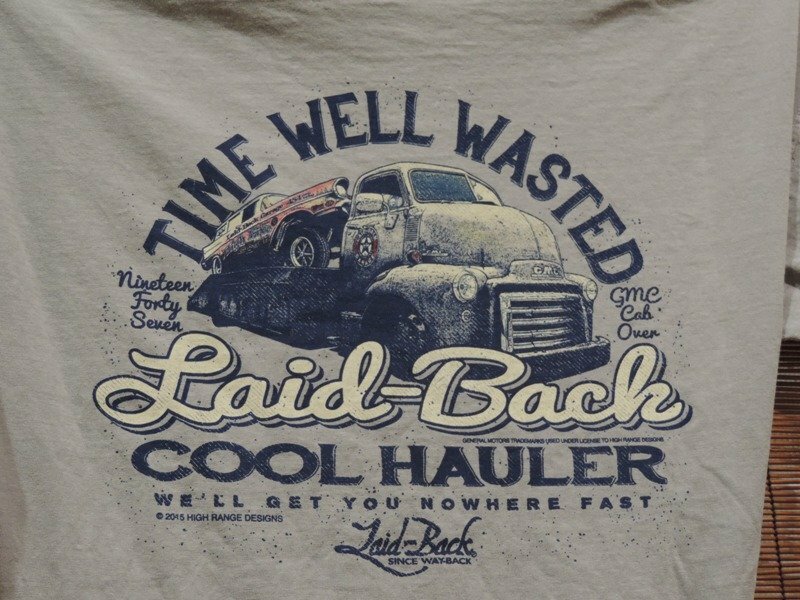 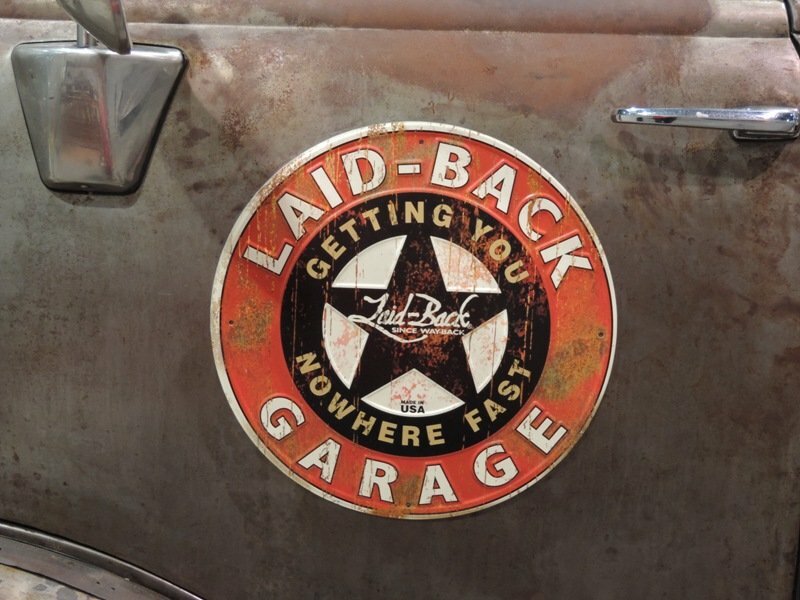 So what vehicle struck your heart?